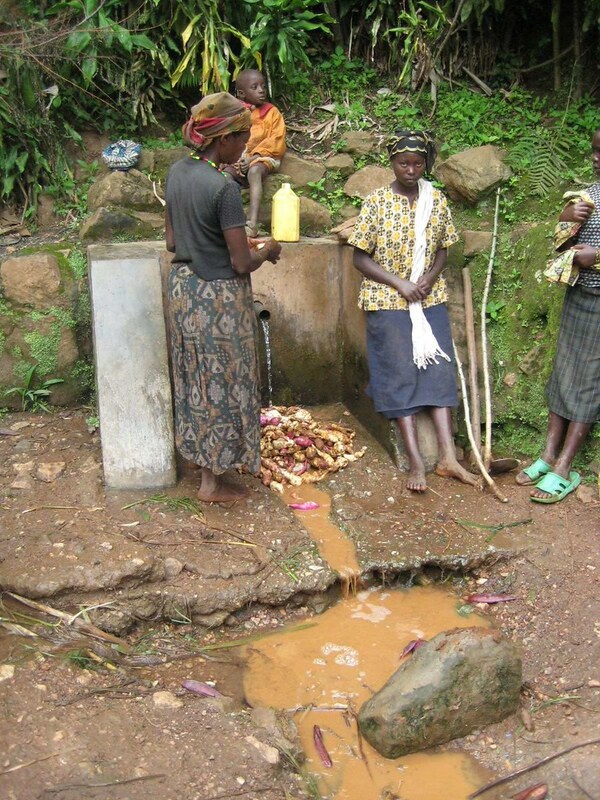 The majority of Zanzibari women give birth at home and it is therefore essential that high-risk pregnancies are diagnosed early. 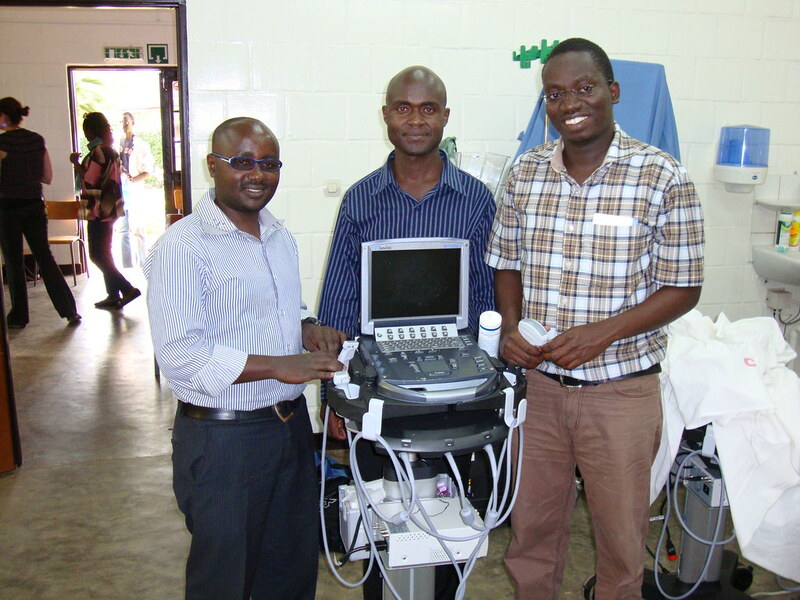 Over the past 4 months, the PURE Obstetric Ultrasound Program on Pemba, Tanzania has continued providing increased access to obstetric ultrasound while training Zanzibari clinicians in this life-saving skill. 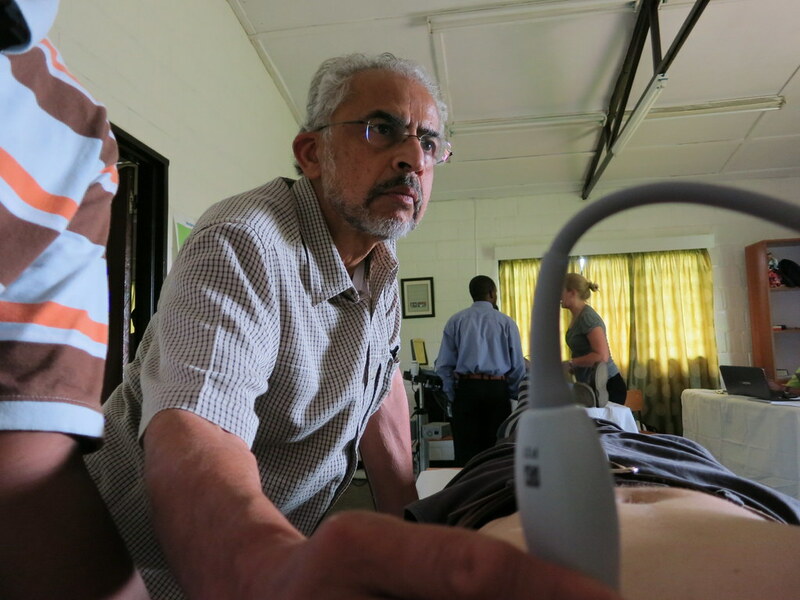 Despite language barriers and the challenges of operating a new technology, the Pemban trainees have become ultrasound enthusiasts and continue to improve their skills. 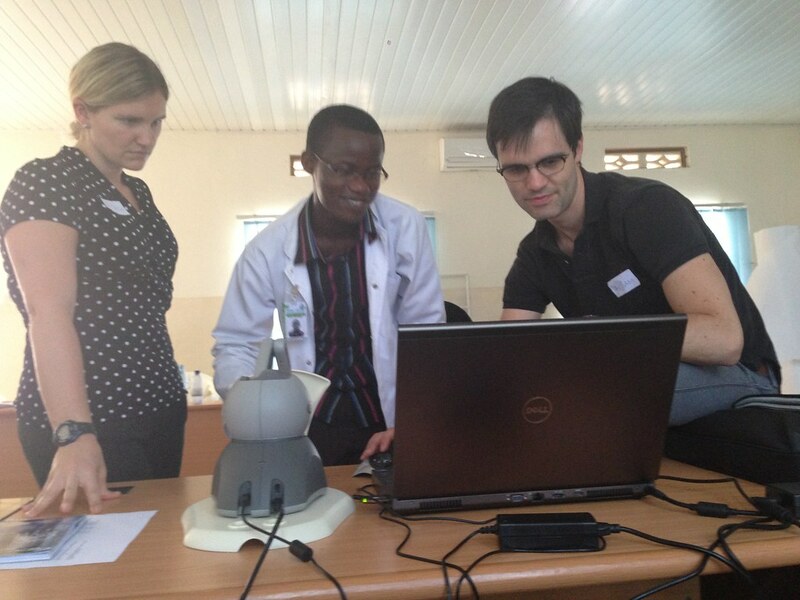 Trainees learn via bi-weekly supervised hands-on scanning, weekly lectures, and video review. 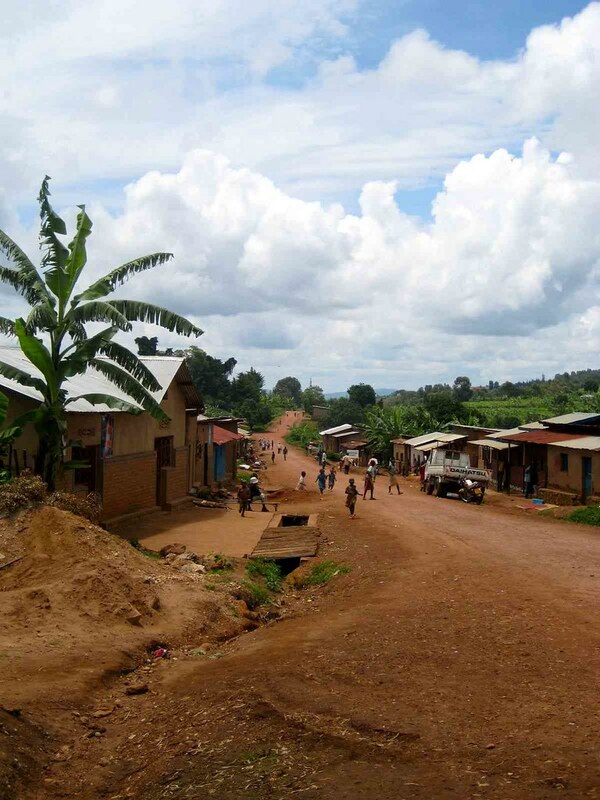 The trainees from the three hospitals, Wete, Micheweni, and Chake Chake, have scanned over 600 pregnant women and have diagnosed placenta previa, molar pregnancy, intrauterine fetal demise, oligohydramnios and ectopic pregnancy. 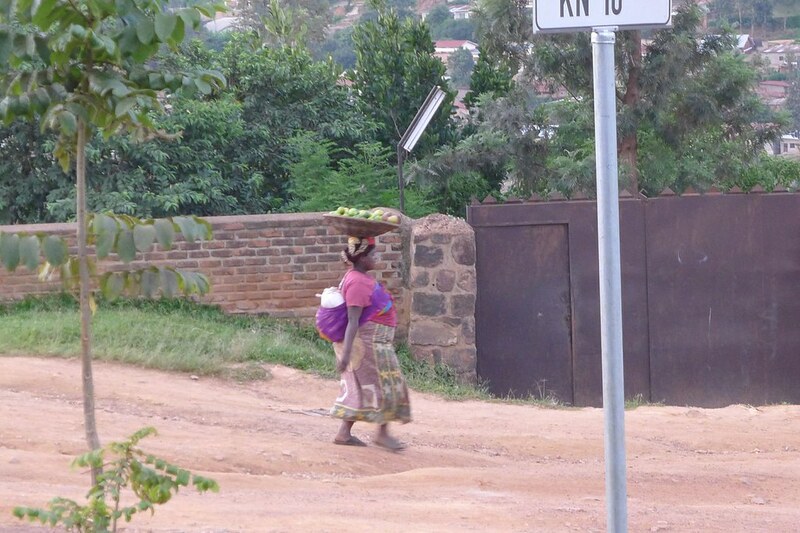 Interestingly, Pemba women appear to have high rates of multiple gestations. 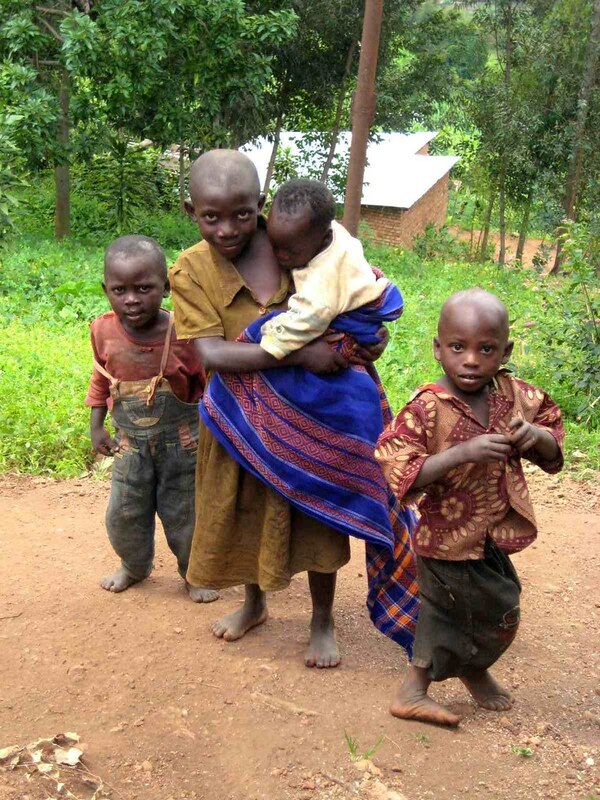 In the last three weeks, Dr. Rachel Zang from the University of Pennsylvania, has assisted trainees with diagnosing six sets of twins and one set of triplets. 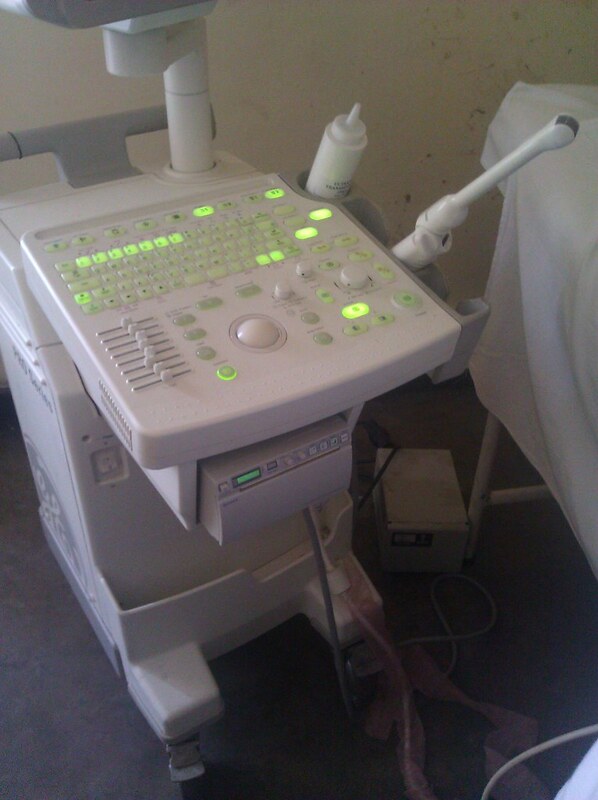 The PURE Obstetric Ultrasound training will soon receive the assistance of Dr. Joy Cooper, a recent OBGYN graduate from the University of Pennsylvania. I am excited to see the progress of the trainees in the final two months with final exams and graduation planned for the end of August. 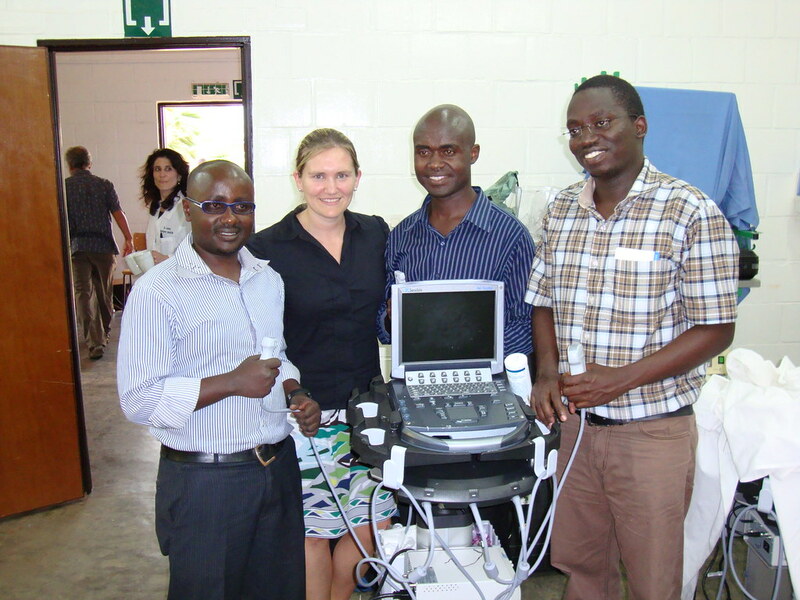 The kick-off to teaching point-of-care ultrasound and obstetric ultrasound on Pemba Island of Zanzibar, Tanzania was a team effort and truly successful. 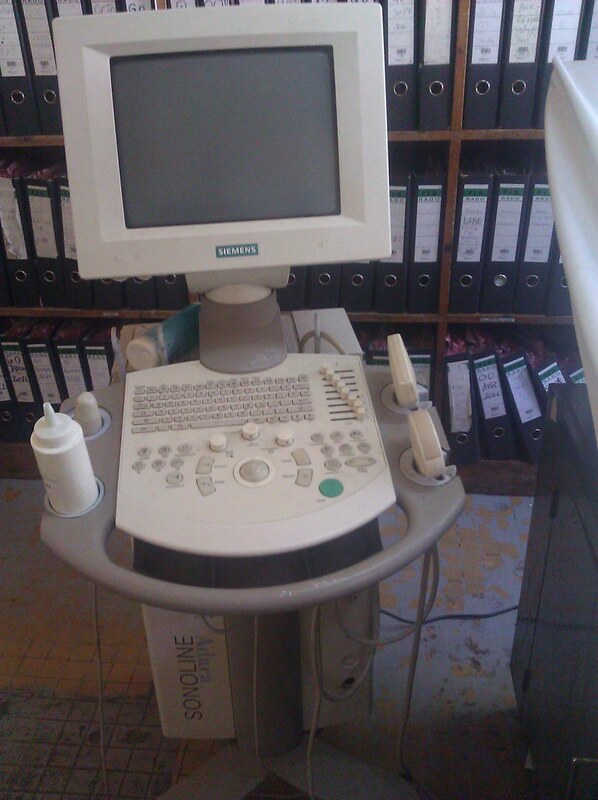 A needs assessment had been conducted prior with the realization that the hospitals on Pemba Island greatly needed obstetric ultrasound training in order to provide the appropriate care for the pregnant women of Pemba. The team included Drs. Elizabeth Hall, Naomasa Hase, Danielle Matilsky and Tu Nguyen. 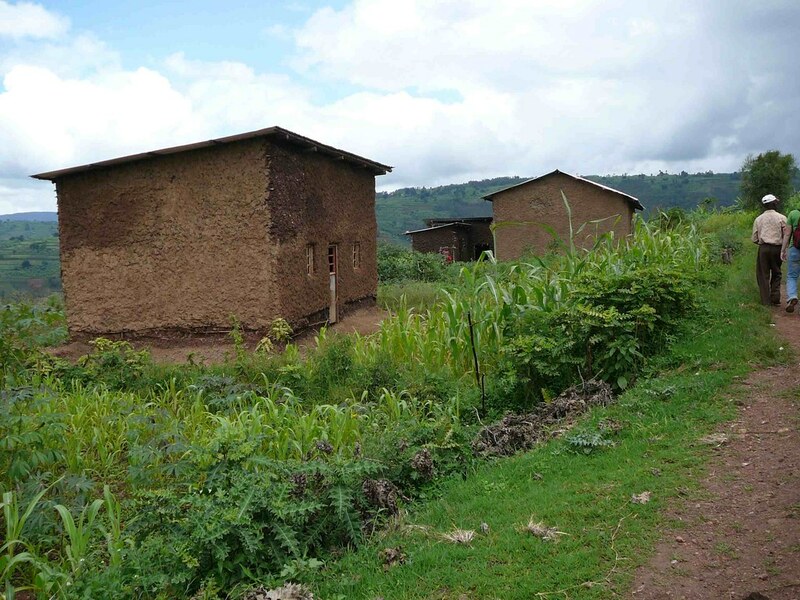 The first week was an intense boot camp comprised of didactics and hands-on practice with local volunteers. 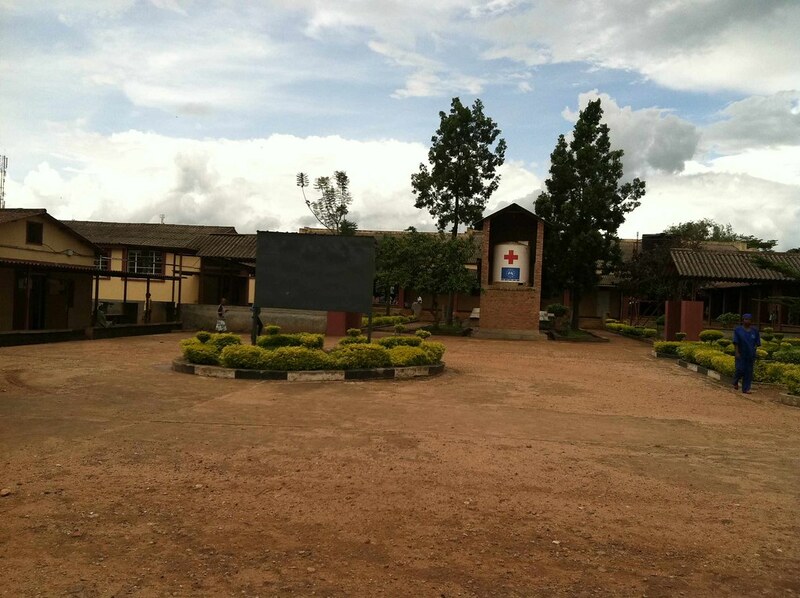 The students were a mix of physicians, medical officers and nurses traveling far from different areas and coming from three different hospitals: Chake Chake, Micheweni and Wete. 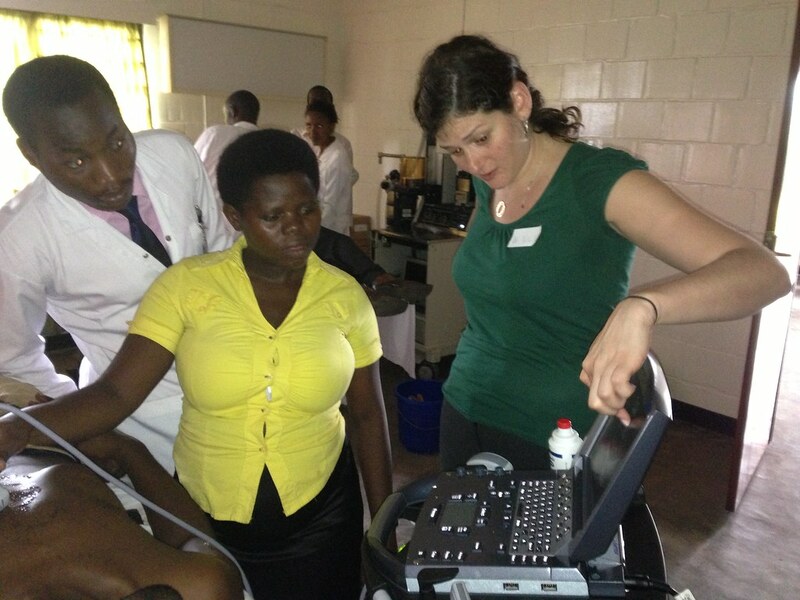 They were engaged, diligent and determined as learning ultrasound for the first time can always be challenging. 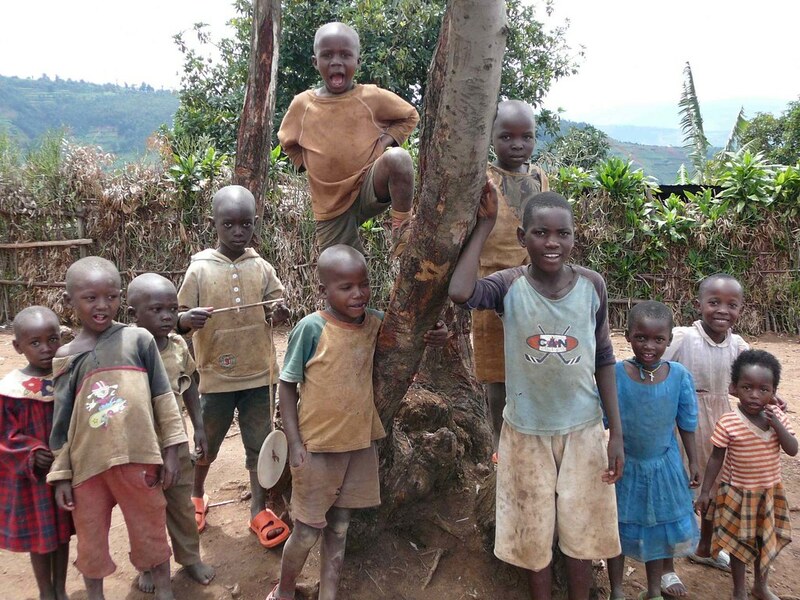 They progressed over the week and we were ready to start working in the field with them. 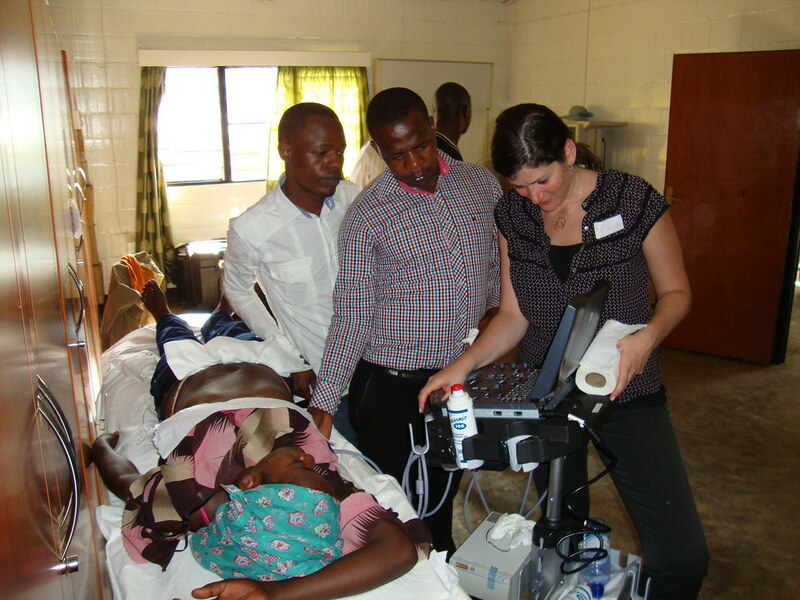 We divided ourselves each day to travel to different hospitals to focus on hands-on practice with obstetric ultrasound with the participants on actual pregnant patients who were coming in for various reasons. 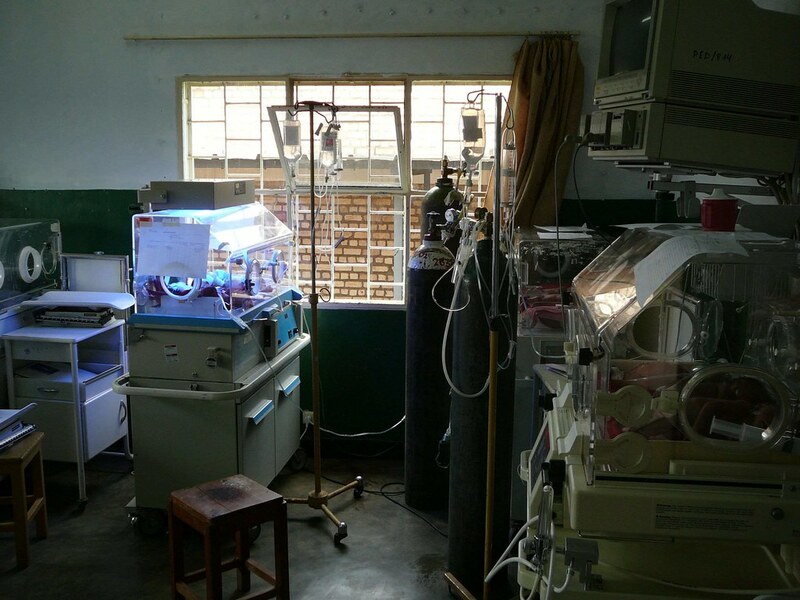 Within the first couple days, we’ve managed to discover pregnant patients of varying gestational age with multiple gestations, fetal hydrocephalus and other pathologies. 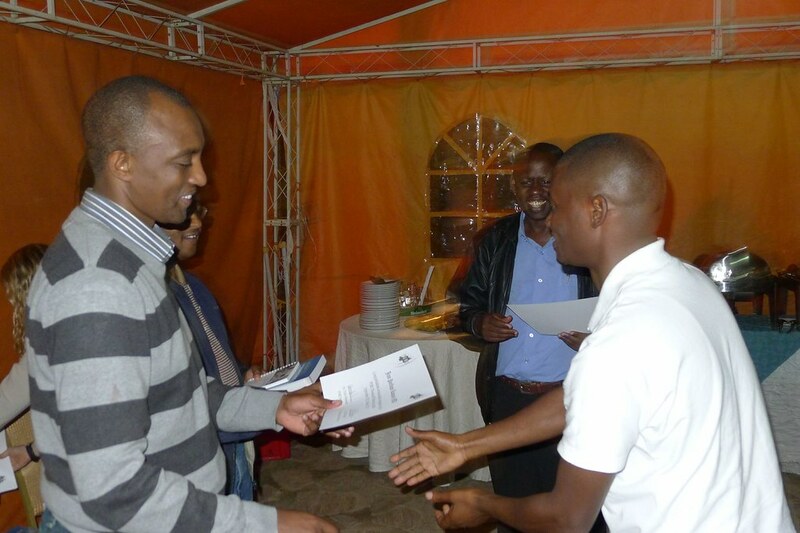 This was not only a valuable learning experience for the participants, but also a rewarding experience for us. 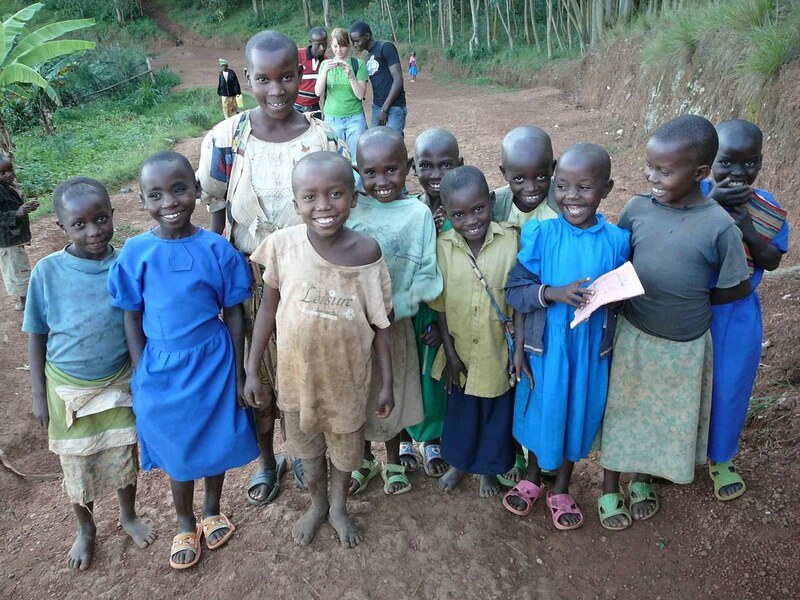 We learned about the culture, the people, their access to medical care and even a little Swahili. 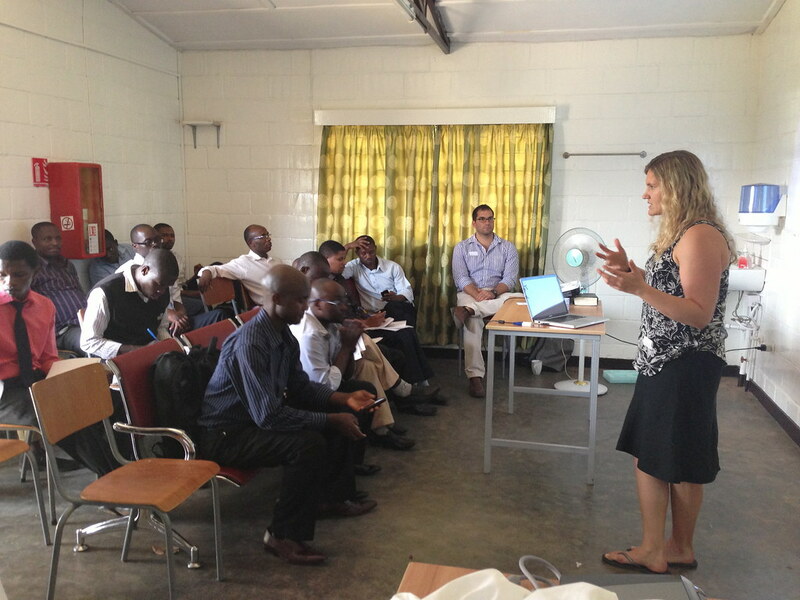 Look out for Dr. Elizabeth Hall’s updates as she continues to teach in Pemba! 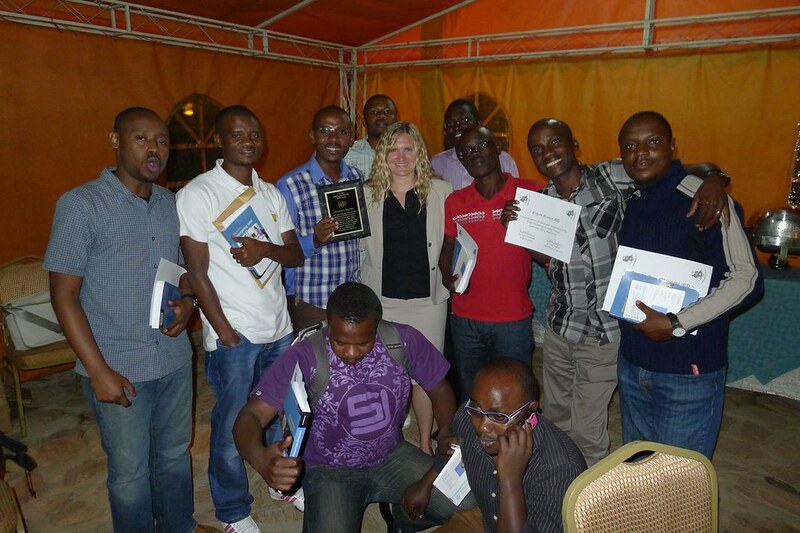 Emergency Medicine residents at CHUK in Kigali, Rwanda experienced the glory of friendly competition in Point of Care Ultrasound in the first ever edition of ‘Pass and Play.’ As a visiting fellow working with PURE, I had the opportunity to lecture to the residency during conference days every Wednesday. Instead of image review, I created a competition for the residents inspired by similar competitions in the US. 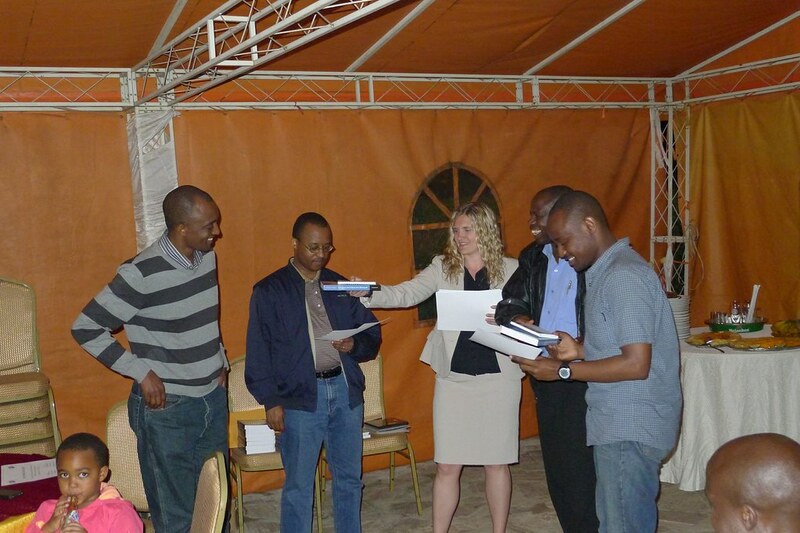 A cross between jeopardy and plain old “pimping,” the residents divided into teams by classes and were challenged to cases with ultrasound acquisition and image interpretation. Across the board there was excellent performance, including the 1st year residents who have had quite limited exposure to point of care ultrasound. 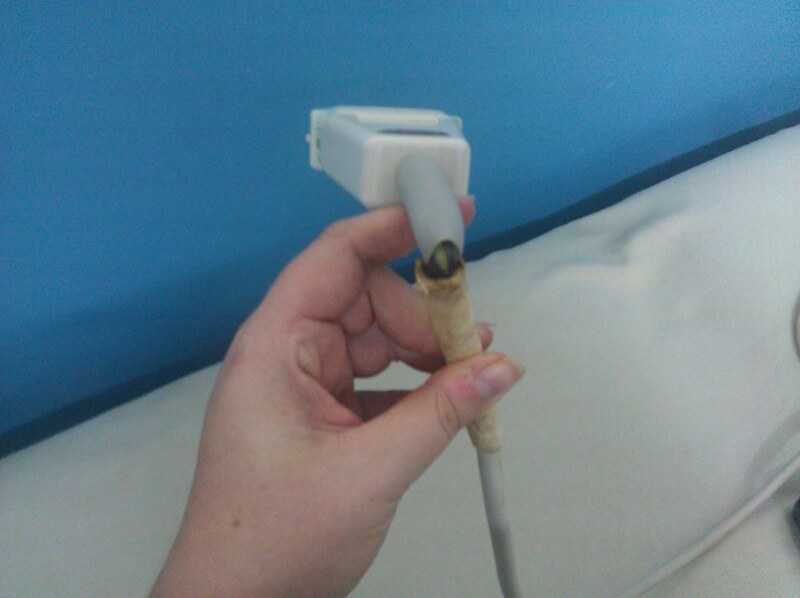 Despite my attempts to stump the 3rd year residents, they were an unstoppable force. The final jeopardy question was unanticipated by the group since it reverted back to the basics of physics in ultrasound. A senior resident came through at the last moment to explain the principles of sound in ultrasound to win the grand prize. 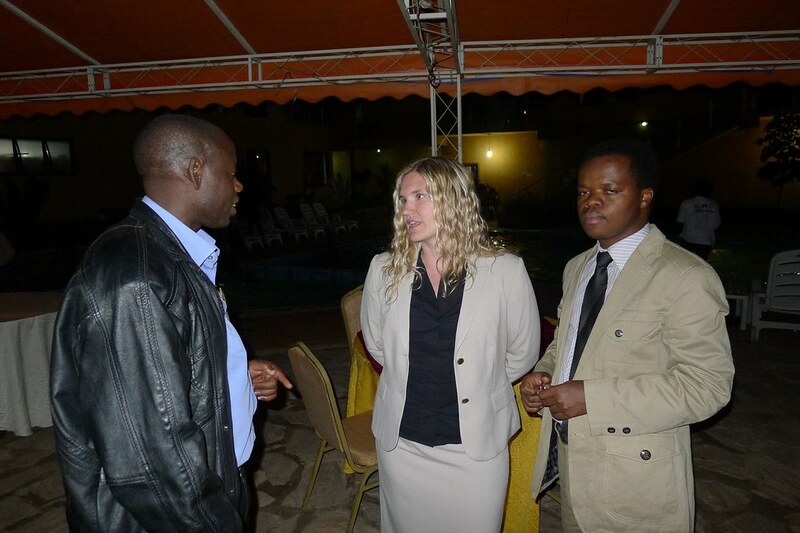 During my time at CHUK, the residents have shown a breadth of knowledge and experience that has only improved over their years of training at CHUK. I have been fortunate to see the current class of graduating seniors both in their first year and now as seniors and am proud to have had a small part in their education. 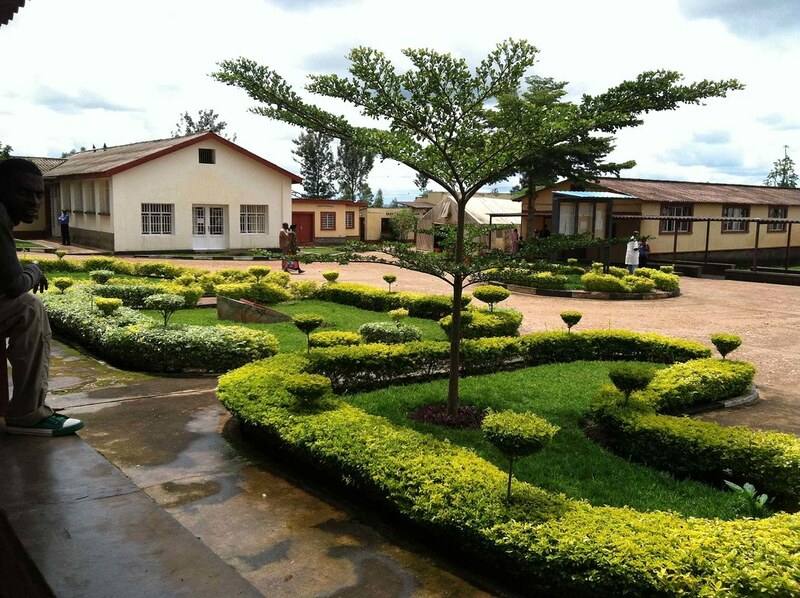 They will make excellent physicians, and furthermore, many of them will go on to academic positions to continue to educate future generations of emergency physicians in Rwanda. PURE now runs a full month rotation in which residents rotate with a US faculty or fellow who guides them with technique and interpretation. 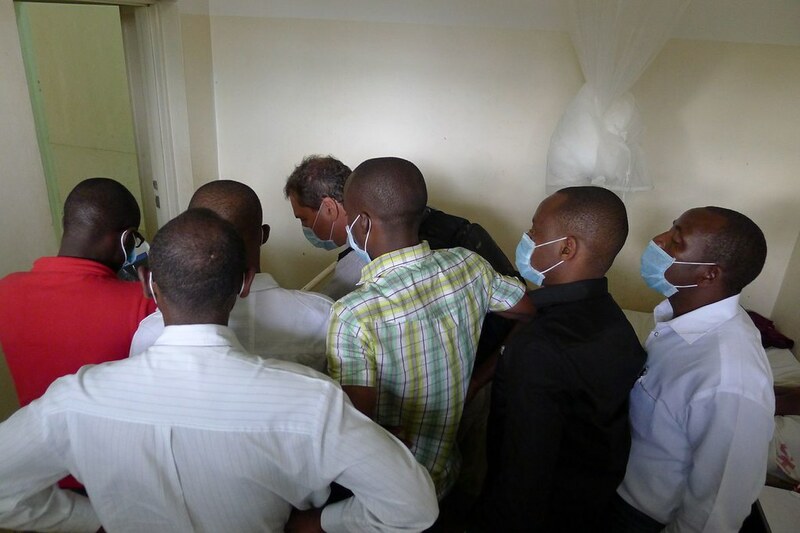 In addition to the teaching experience, I have also had the opportunity to learn from the physicians here who apply point of care ultrasound in epidemiologically unique ways, such as the FASH exam used in the diagnosis of HIV associated extra pulmonary Tuberculosis. This is a concept that could be applied to similarly immunocompromised patients in the US, which I plan to utilize when I return home. 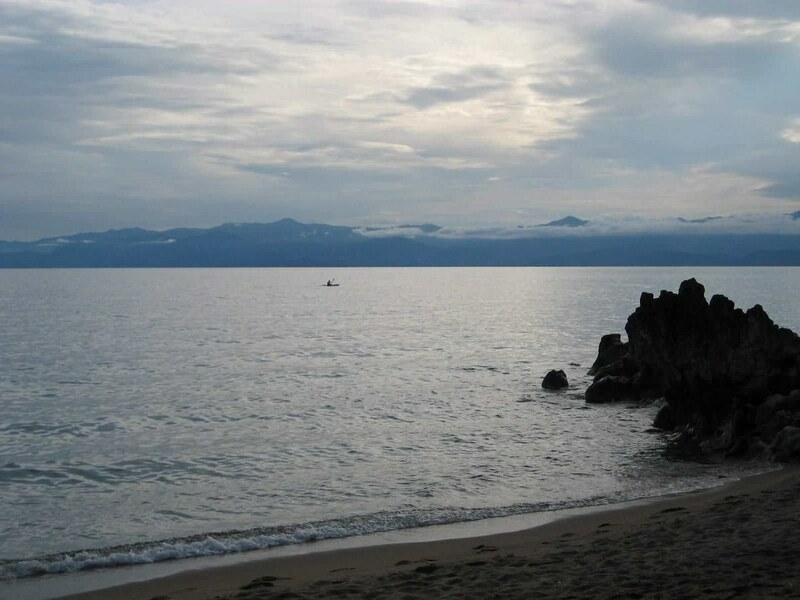 The experience of the residents and faculty at CHUK is evident in that many different specialties, including emergency medicine, depend on the accessibility and accuracy of the ultrasound for timely management of their patients. It is a true testament to the power of point of care ultrasound and has been a wonderful experience in academic emergency medicine. Special thanks to the HRH faculty for hosting as well as the residents who rotated with us this month, and finally, the visiting medical student from Norway, Charlotte, who kept us all organized! 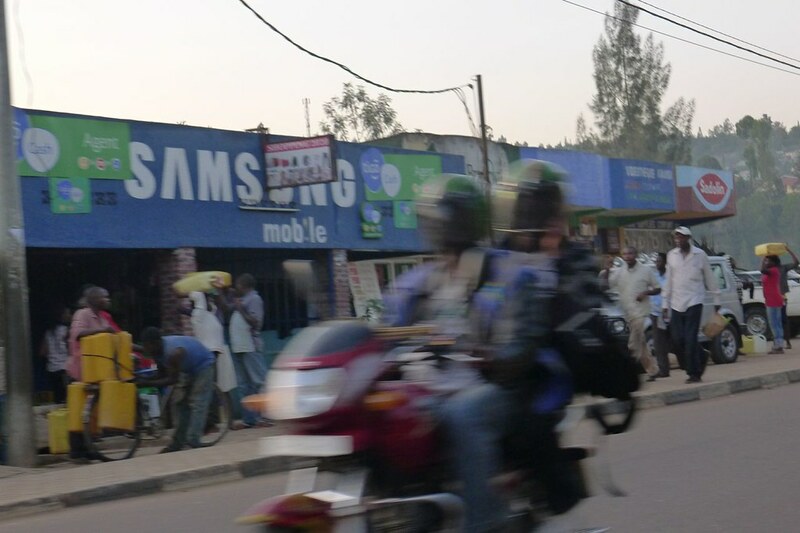 In a city of over 1 million people, full of motorcycle and bicycle taxis, it’s no surprise that the University Central Hospital of Kigali (CHUK) sees an astonishing number of trauma and orthopedic injuries. 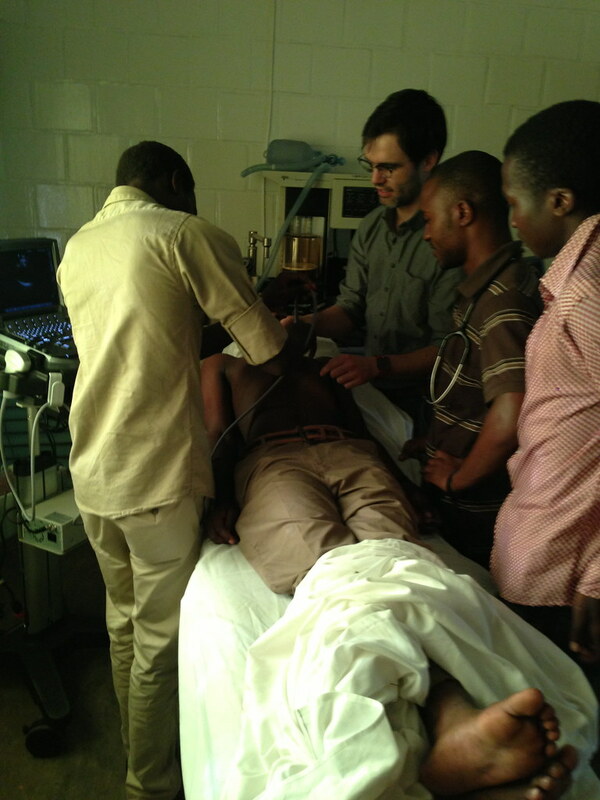 It’s second nature for the Rwandan emergency medicine (EM) residents to grab the ultrasound machine to do an E-FAST (Extended Focused Assessment with Sonography for Trauma) and evaluate for internal injuries and pneumothoraces. 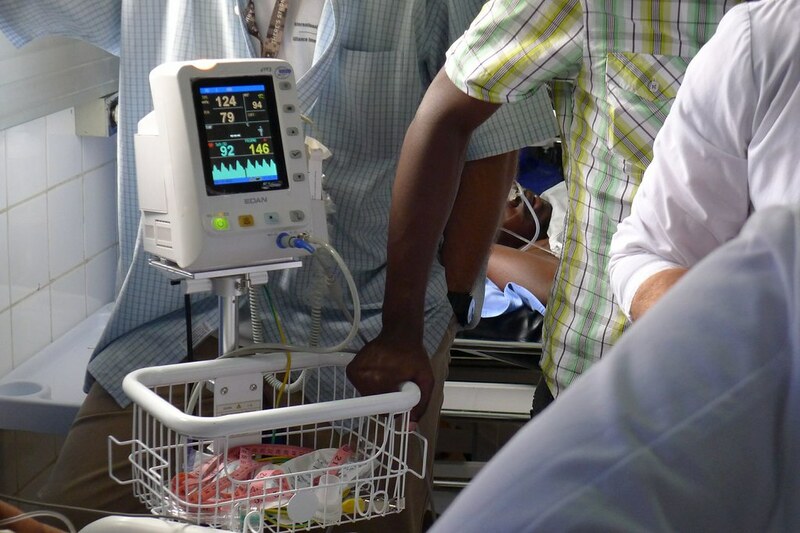 But pain control techniques such as nerve blocks for extremity injuries and for assisting with procedures like fracture reductions or extensive wound repairs are an essential skill set in emergency medicine – not to mention important for good patient care! 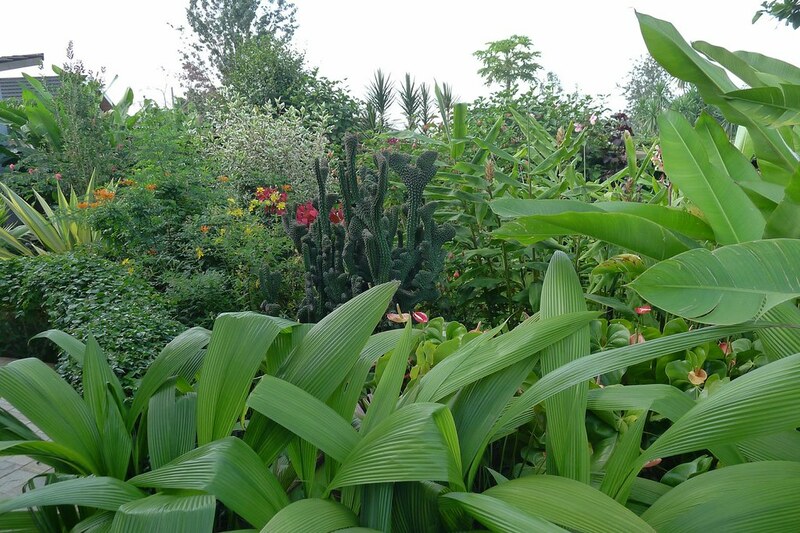 The alternative would be time intensive conscious sedations in an already stretched emergency department or using large amounts of IV narcotics, which could be harmful for older patients. 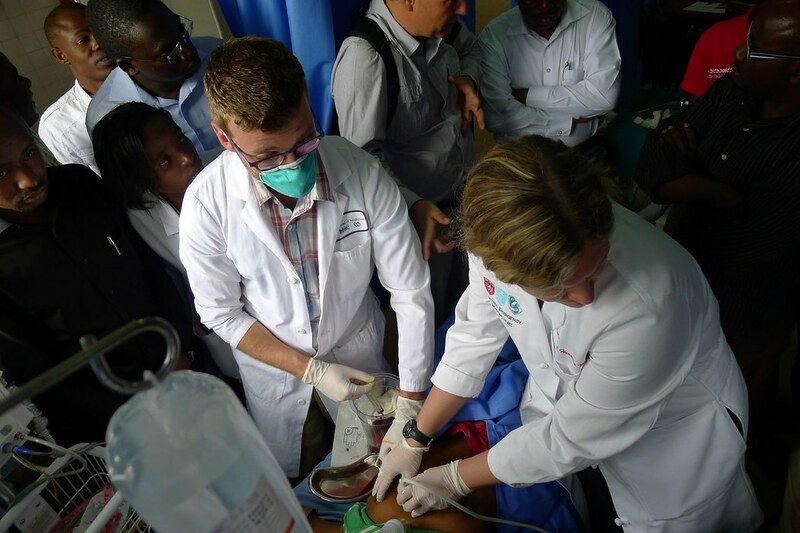 This past month we taught ultrasound-guided upper and lower extremity nerve blocks and coordinated a nerve block and musculoskeletal simulation lab to equip the Rwandan EM residents with the knowledge to manage pain using ultrasound-guided techniques. Shortly after reviewing and practicing nerve blocks, we were already putting these newly acquired skills to the test for a patient with a femur fracture who needed a femoral nerve block for pain control and to facilitate a wound irrigation that would have otherwise been very painful. While teaching the residents during these last few weeks, we expedited care for patients who were diagnosed with pneumonia, heart failure, deep vein thrombosis (DVT), testicular torsion, an appendicitis, and cholecystitis. A pediatric patient who arrived with trouble breathing and a cough had a quick cardiac echo and lung ultrasound that showed a large atrial myxoma, bilateral pleural effusions, and a pericardial effusion. This bedside ultrasound helped direct the child’s care and facilitate a smoothly performed ultrasound-guided pericardiocentesis by one of the EM residents. 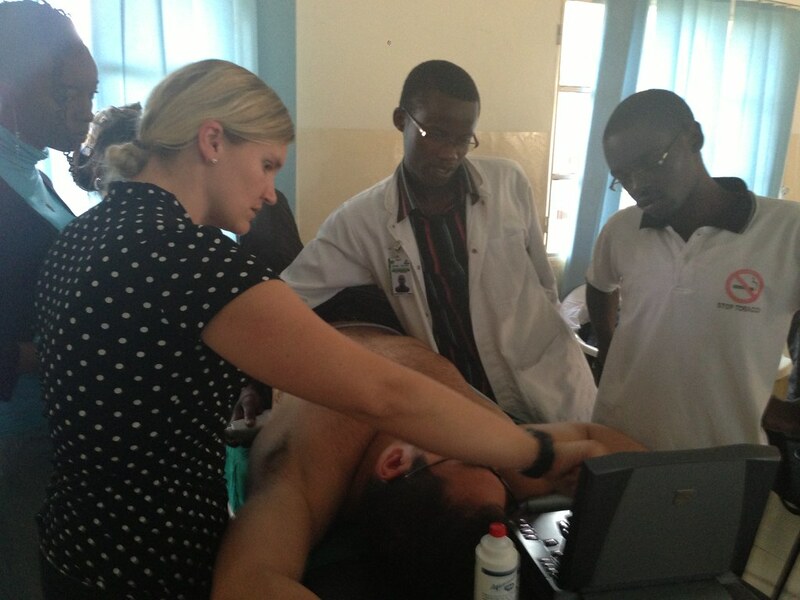 I don’t think the Rwandan EM residents could ever imagine a day without their beloved ultrasound machine. 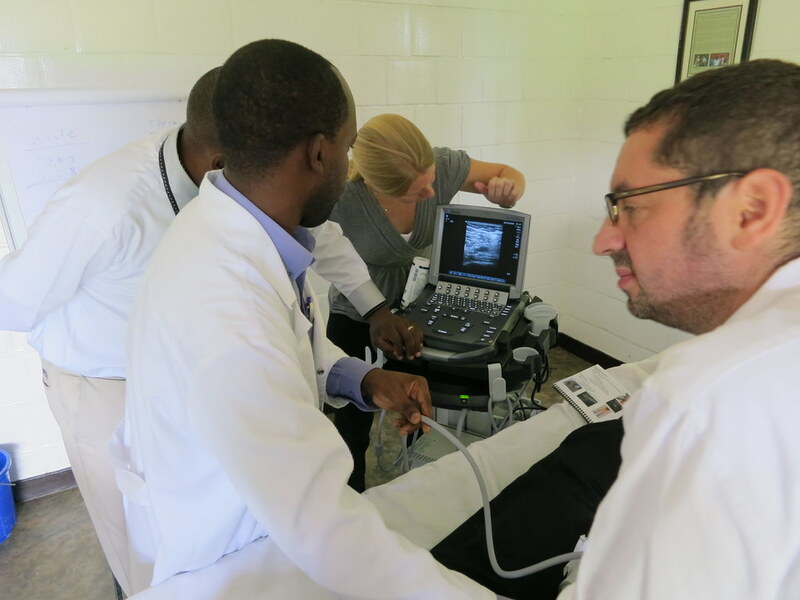 Since PURE has started working with the EM residents, they have gained impressive ultrasound skills to quickly diagnose patients, safely perform procedures, and direct patient care. 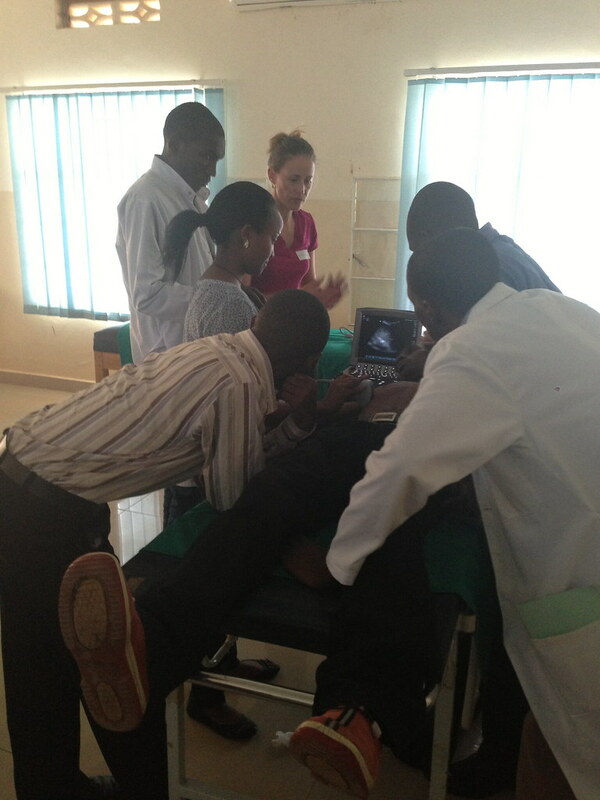 And they continue to see the profound impact their ultrasound skills make on a daily basis! 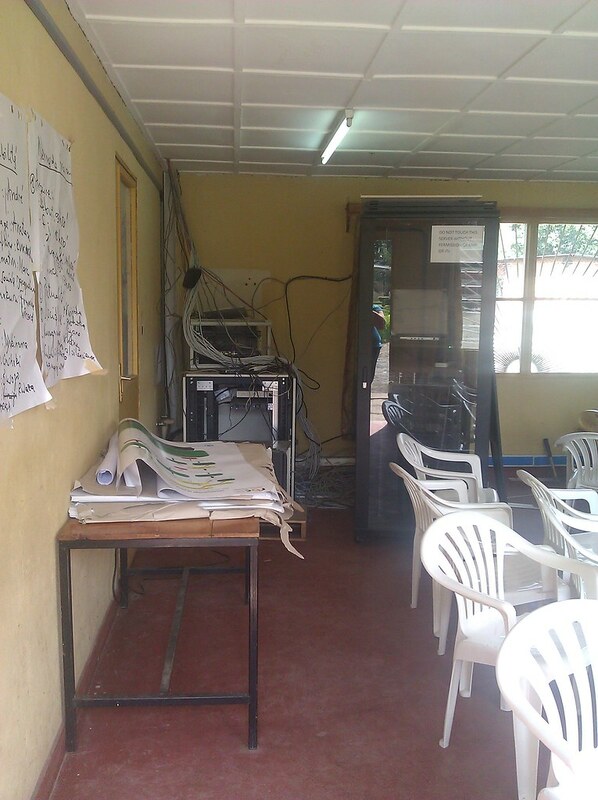 The PURE Uganda team led by Trish Henwood & Katie O’Brien has been quite busy hosting various ultrasound teaching conferences over the last week! 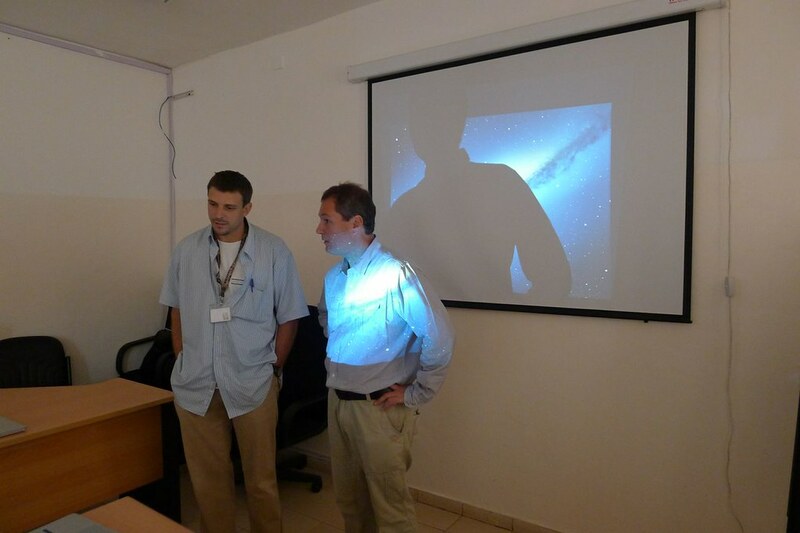 Last Thursday and Friday we hosted day-long teaching sessions including ultrasound physics, how to use the machine, and the extended Focused Assessment with Sonography in Trauma (eFAST). 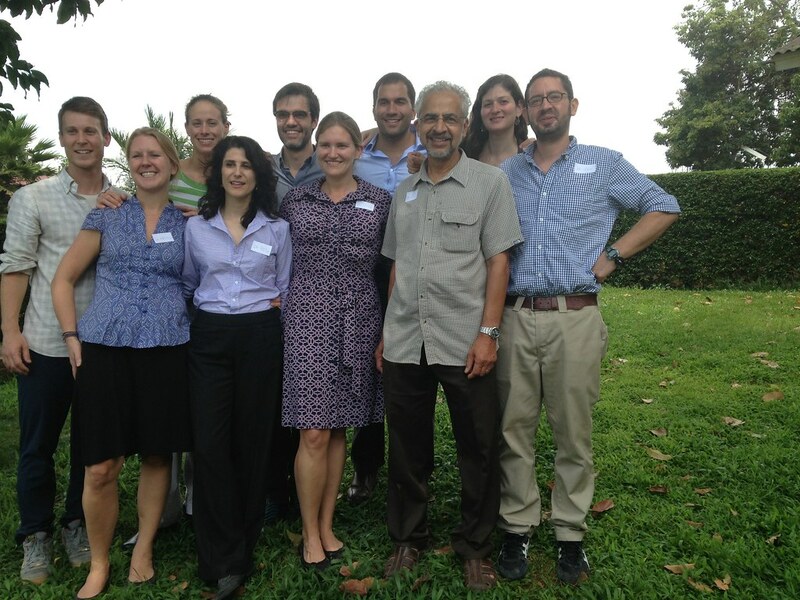 Trainees included MRRH/MUST anesthesia and surgery residents, Emergency Care Providers (ECPs) from Global Emergency Care Collaborative (GECC) and our SEED Global Health colleagues working at MRRH/MUST for the year. The enthusiasm of the learners was infectious, and we beamed seeing surgical residents explain ultrasound concepts to each other and fist-bump as a sign of confirmed understanding! Today, we finished our formal sessions with the leading help of Dr. Godfrey, faculty with the Department of Ob/Gyn, and a strong representation from our Obstetrics and Gynecology colleagues – both residents and midwives. There was a lot to cover and it was a long day but everyone gained a lot from the session and went away with a lot to practice. 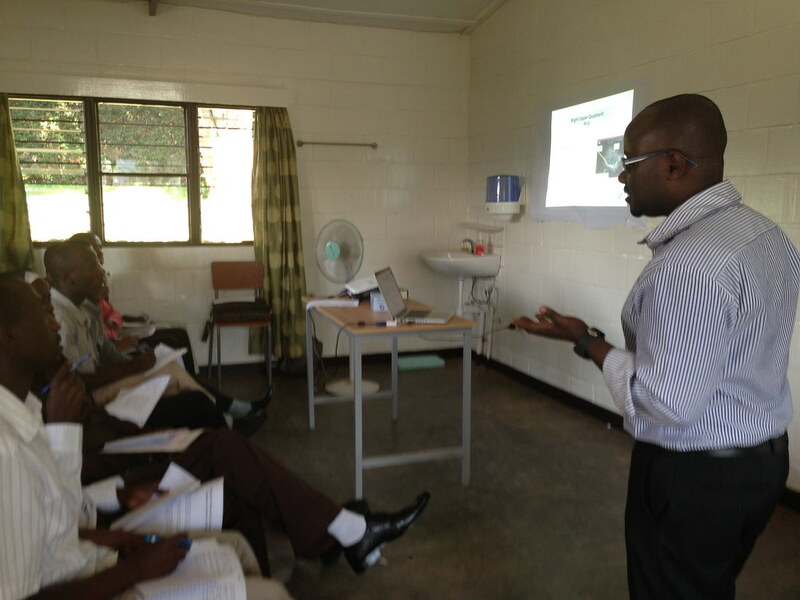 Classroom teaching is over for now but the real fun – hands-on, bedside clinical teaching – is continuing. 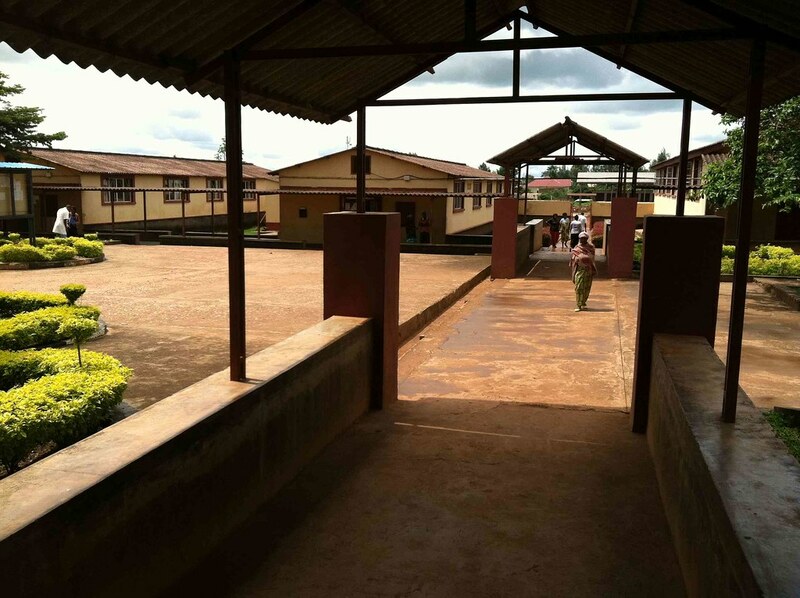 Tomorrow, Dr. Kate O’Brien will be heading to Nyakabale to perform hands-on training with the GECC ECPs while Charlotte Skorpen (an ultrasound trained medical student in her 6th year originally from Norway), and I (Dr. Sally Graglia) will be doing follow-up bedside teaching with the Obs&Gyn residents. 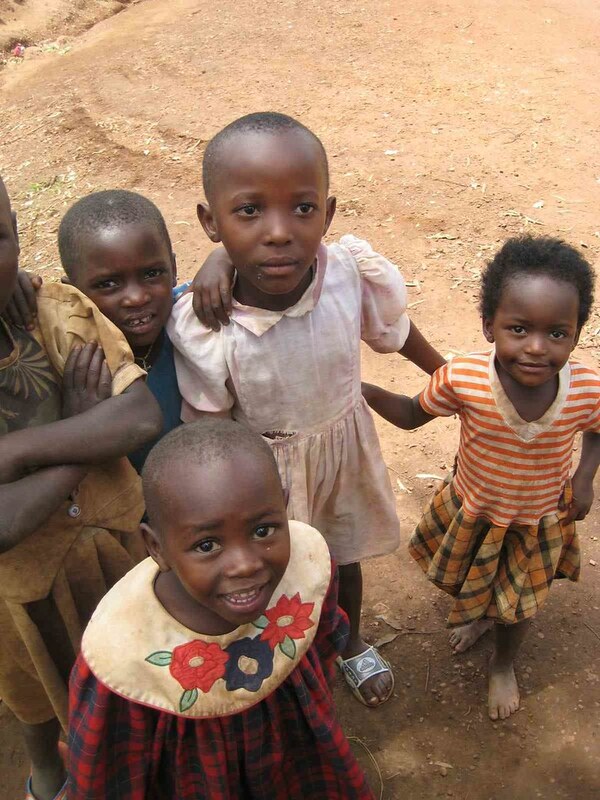 Together we will be working with the ECPs in Masaka on Thursday, then looking forward to continuing bedside teaching in Mbarara next week. Until next time! 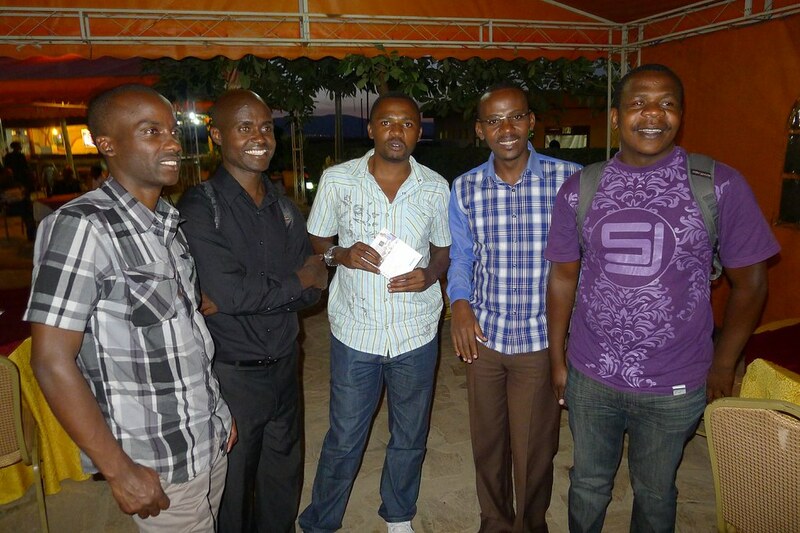 The PURE Rwanda team is enjoying the opportunity to help kick-off the academic year in Kigali! 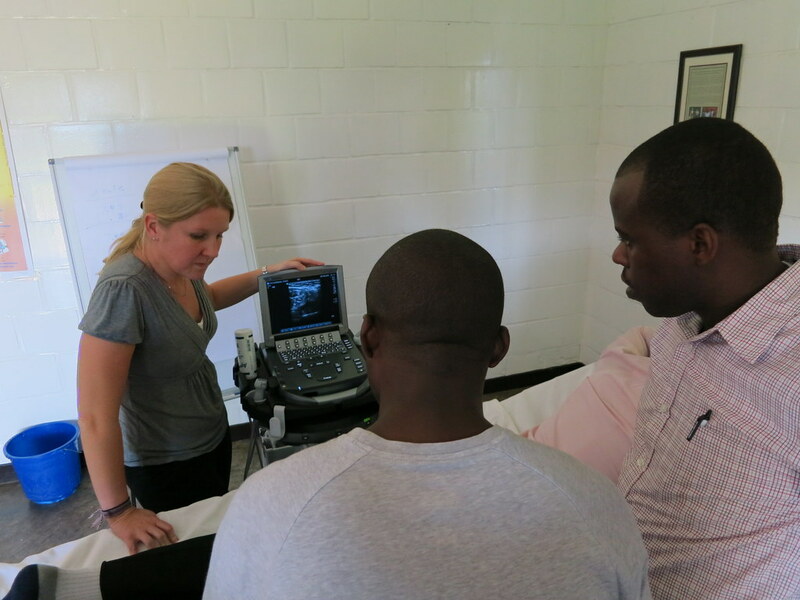 Dr. Rachel Zang (senior Penn EM resident) has been here working hard over the past few weeks with the Rwanda EM faculty to get things ready for the arrival of Dr. Tu Nguyen and myself from the University of Maryland in order to lead the ultrasound portion of EM intern boot camp! 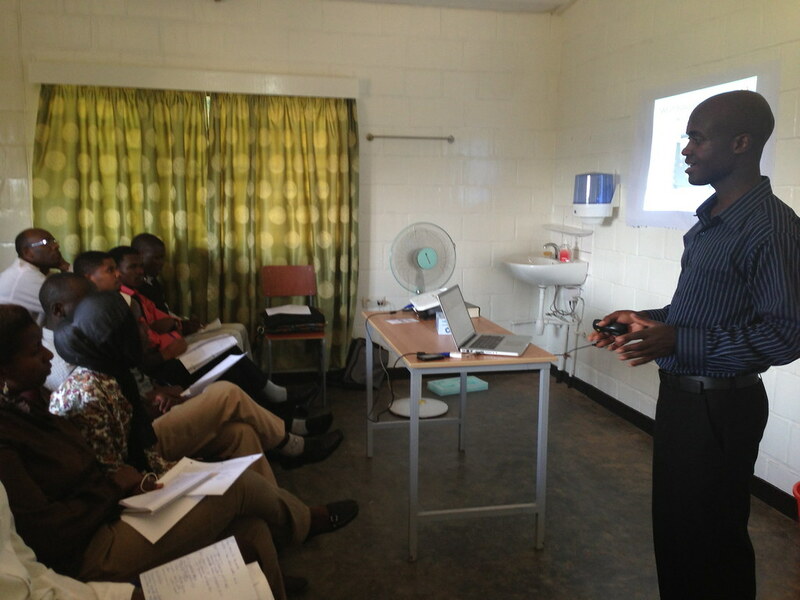 Tu kicked off the ultrasound course on Tuesday with the intro lecture followed by the FAST exam by Rachel. The new intern class caught on quickly to the basic skills on day one. 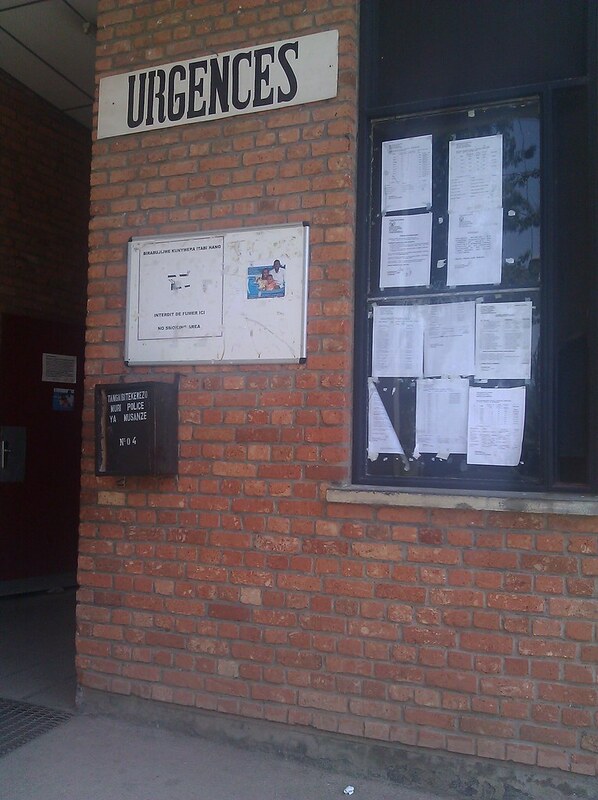 Part of the afternoon was spent in the ED with the senior residents. Pneumothorax and other lung pathology was the day’s theme, foreshadowing what the interns learned on day 2. I assured them that they would be pulmonary ultrasound experts in no time! 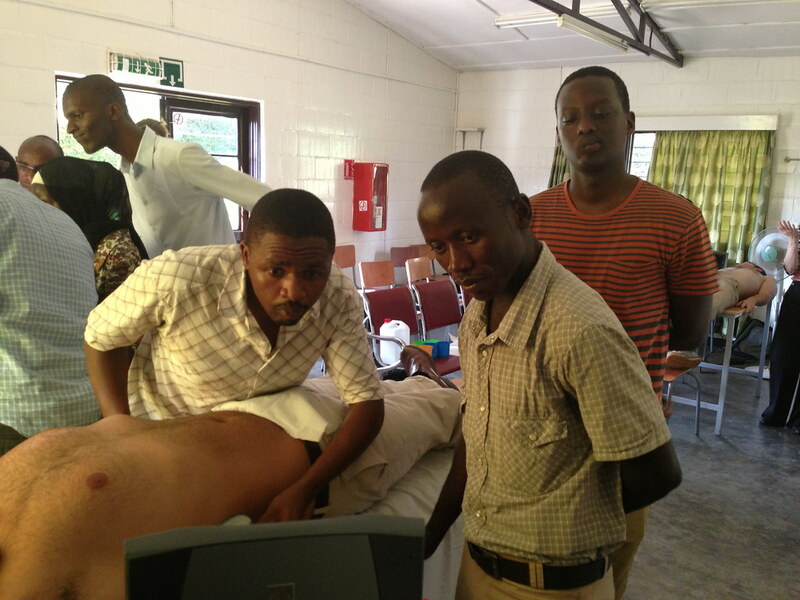 Tu tackled the cardiac exam and we all look forward to seeing how much the interns learn over the next few weeks. A new practice this year involved the senior EM residents joining us to help lead the practical sessions. 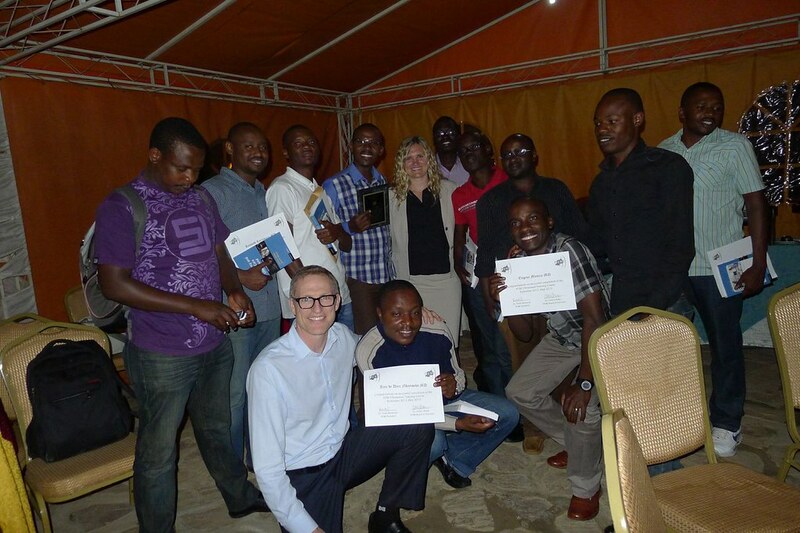 Together we were able to help advance their own teaching skills and knowledge while they did a great job of educating the interns on the basics. The week finished with some amazing scans by the senior residents in the ED with findings including their first pelvic kidney, a cardiac myxoma, pneumonia, gallstones and a bowel diameter over 16cm in a patient with concern for obstruction – the surgeons took it from there! 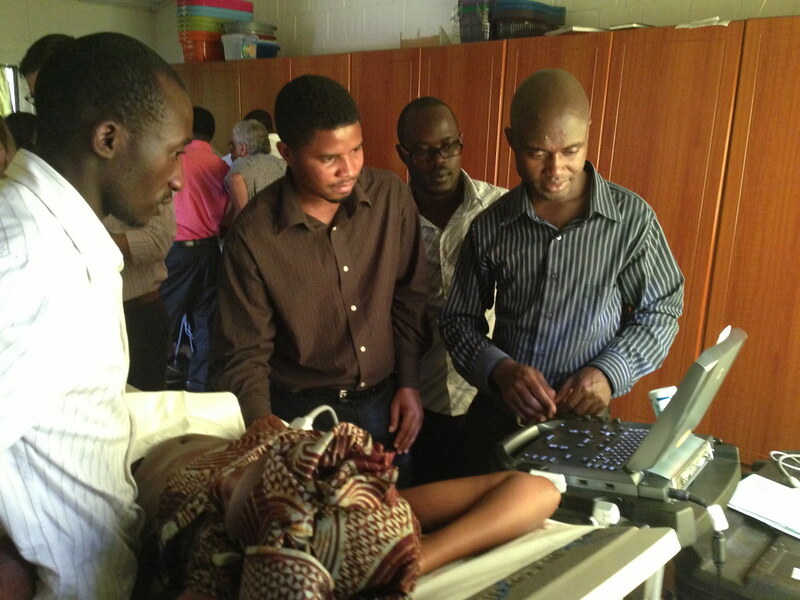 Our team is looking forward to lots more bedside scanning and teaching with the Rwandan EM residents next week! 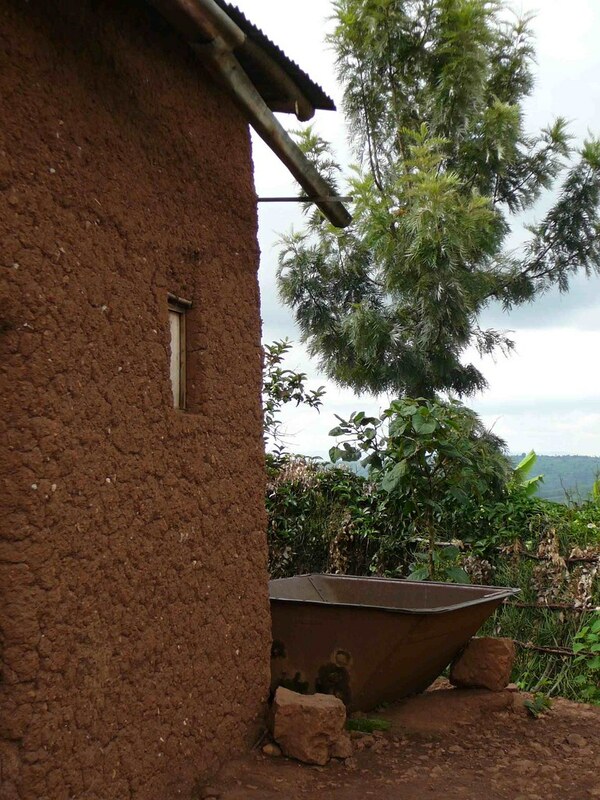 As emergency physicians we are no strangers to work in environments in which our resources are seemingly stretched to the limits. In my practice so far in the U.S., however, I have never waited three days to get a CT scan for a patient, or discharged them because they couldn’t pay for it. 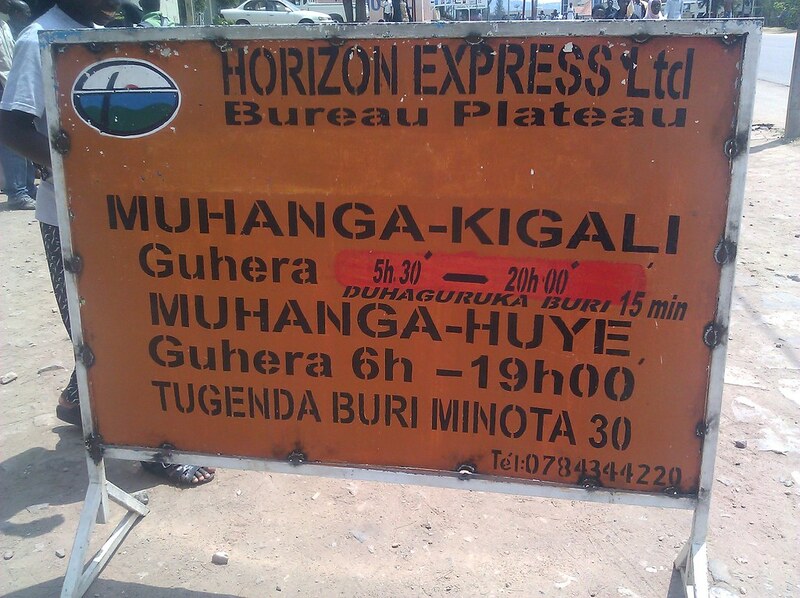 This can unfortunately be the clinical reality at times in Rwanda. 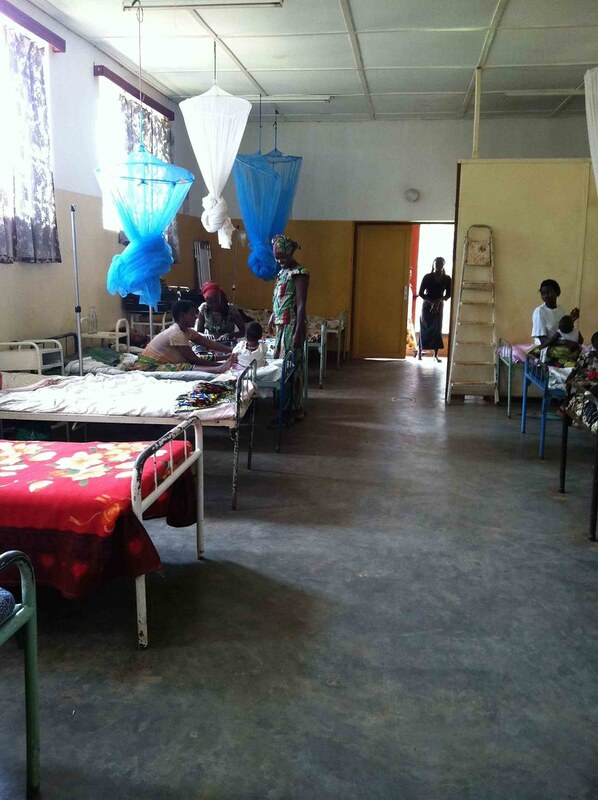 In the bustling, frenetic, emergency department at the Central University Hospital of Kigali (CHUK), the ultrasound machines are in constant use. 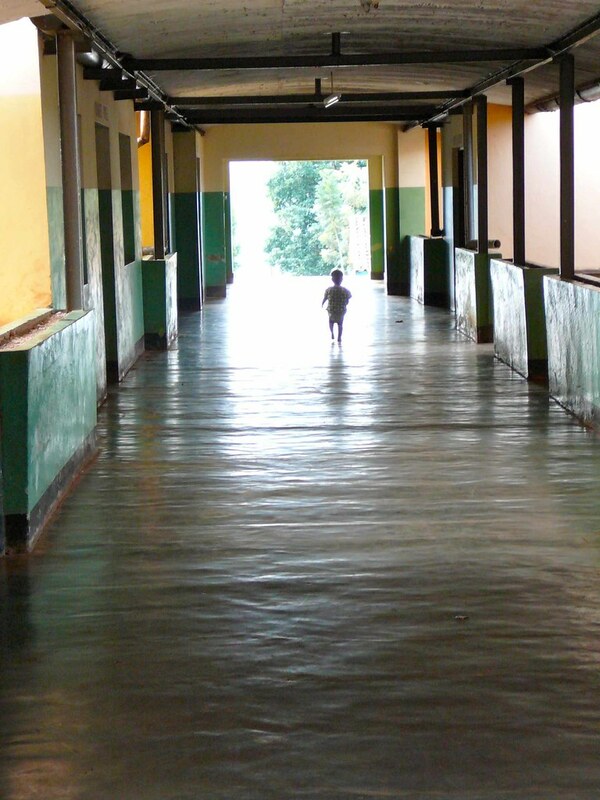 Patients are lined up in cots in the hallway, and more are always coming through the door, so there is pressure, as always, to make diagnoses quickly. 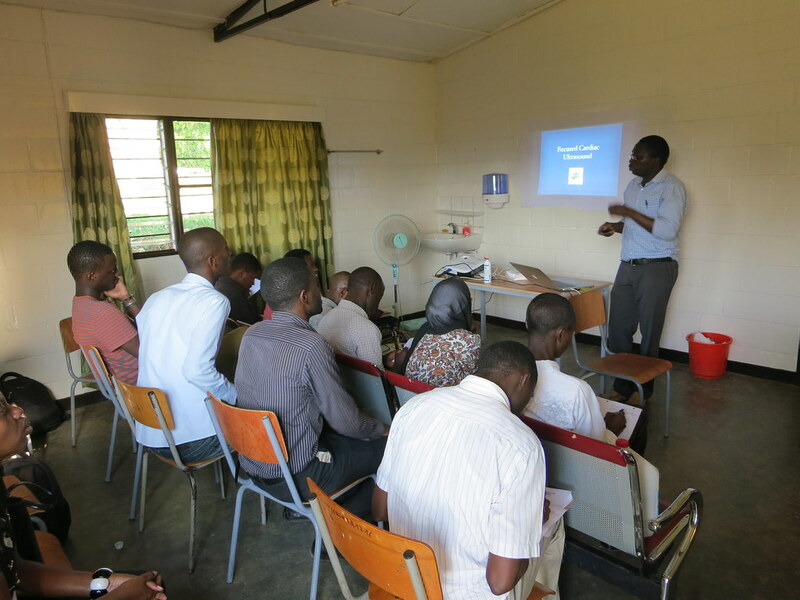 As an ultrasound educator with PURE, I worked with emergency medicine residents at CHUK, teaching them the basics of the eFAST, cardiac, lung, FASH and many other exams. In the first few days of the rotation we diagnosed miliary tuberculosis, liver and splenic abscesses, severe mitral valve stenosis, three cases of cardiac tamponade, and drained a 3L empyema. 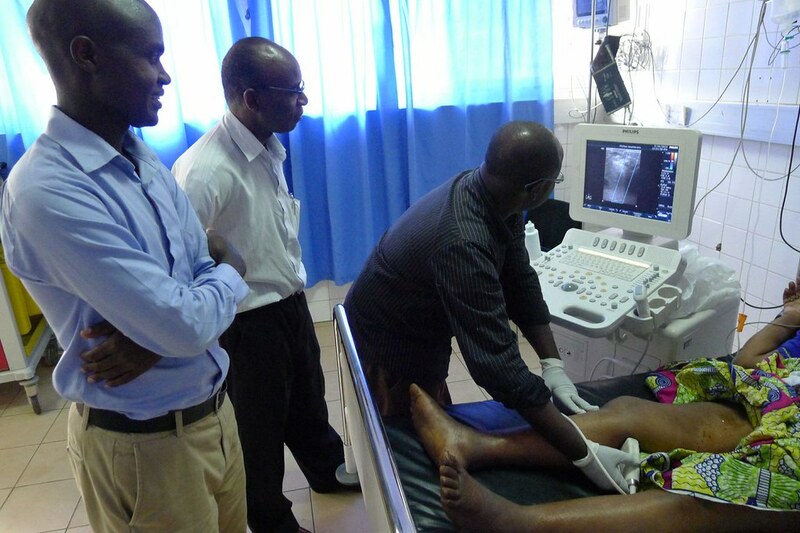 During this rotation the residents developed lasting skill sets to make quick diagnoses, perform procedures safely and effectively, and many times spare cost of imaging to patients. 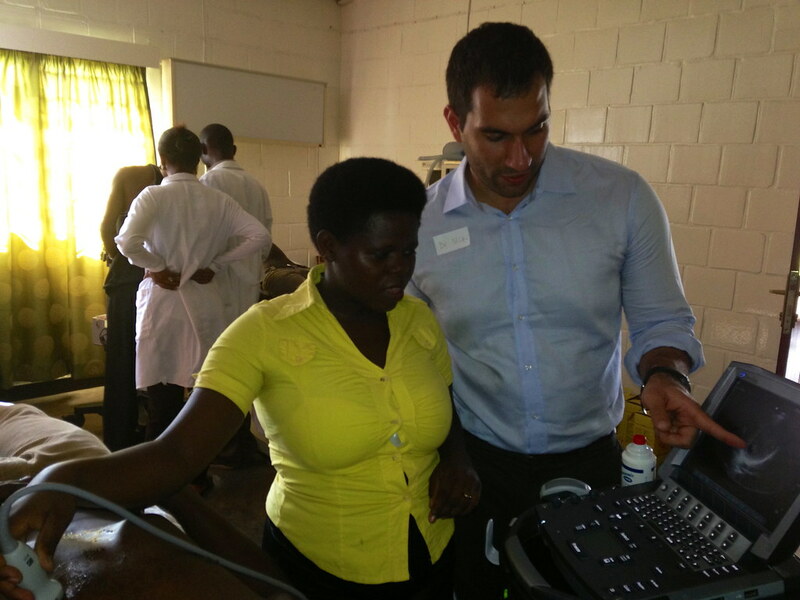 The very tangible improvement in quality of care that can be achieved through the skillful use of ultrasound in this practice setting is a testament to the enormous impact that ultrasound education can make. 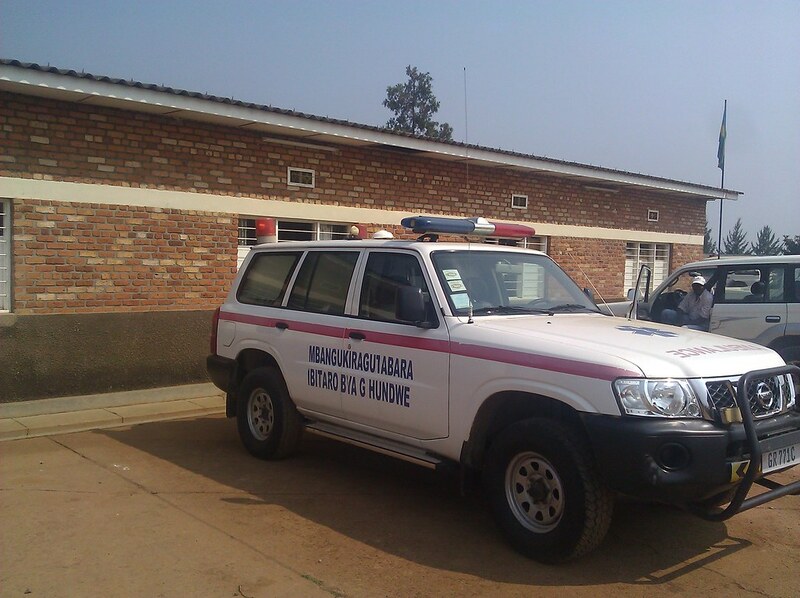 While many resources are limited, one thing that is now more consistently available in Rwanda – both at CHUK and in the district hospitals, is bedside ultrasound. 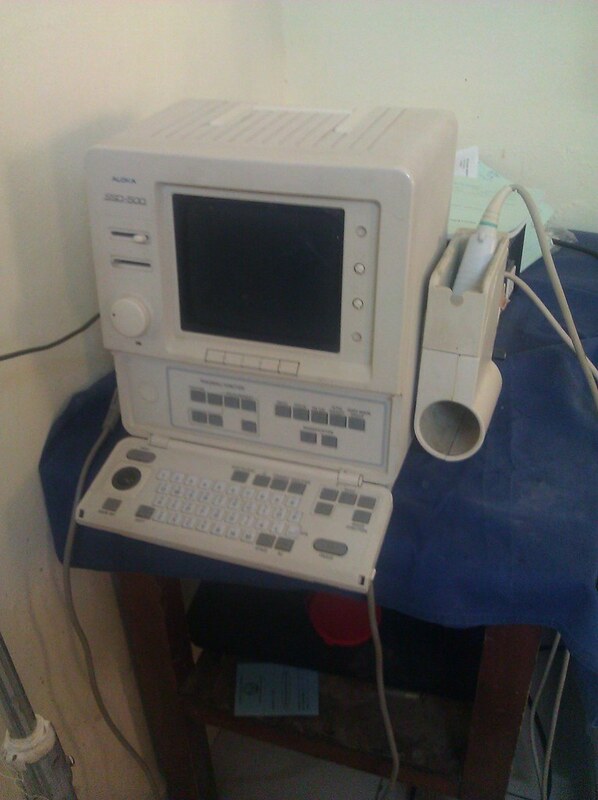 Providing the knowledge and skill set to use this tool appropriately has significant value as there is not access to portable x-ray and CT capacity can be intermittent. PURE is enjoying coordinating the new emergency medicine residency’s ultrasound rotation and for the past few weeks I worked on this effort. 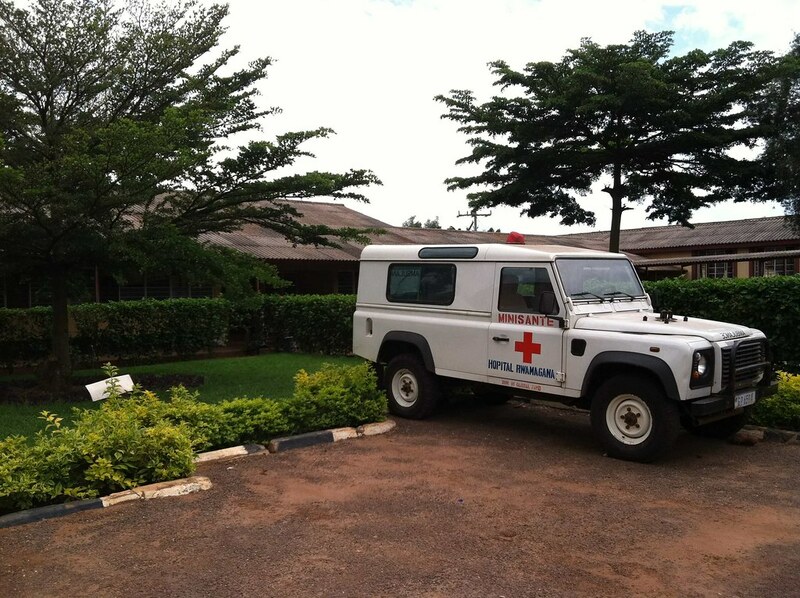 Emergency medicine (EM) is a new specialty in Kigali based at the University Central Hospital of Kigali (CHUK) hospital in Rwanda, an academic referral and teaching center. 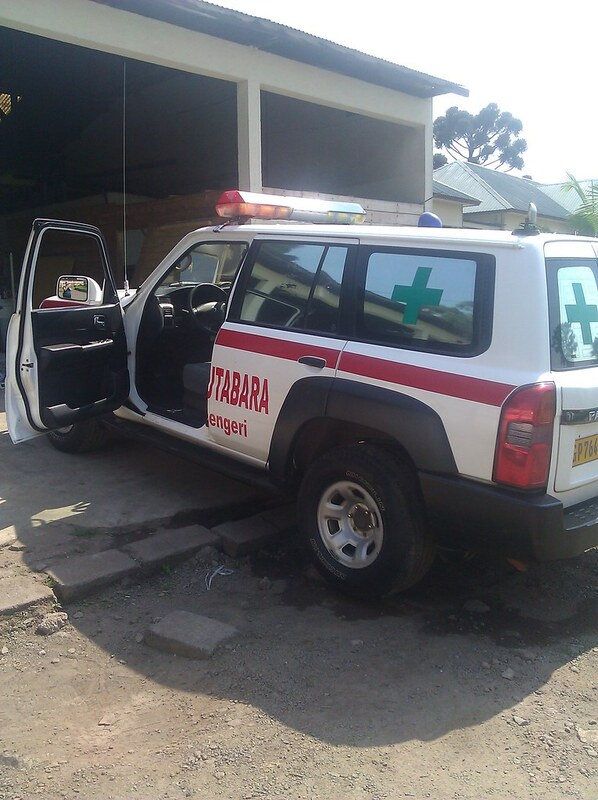 The high volume of road traffic accidents makes the ultrasound training very important for the EM residents as it can aid in a much faster, and more affordable diagnosis of internal injuries (as there may also be payment issues with CT). During our scan shifts we diagnosed ocular injuries, fractures, pleural effusions, pneumothoraxes, cholecystitis, pericardial tamponade, small bowel obstructions, TB and cancer. 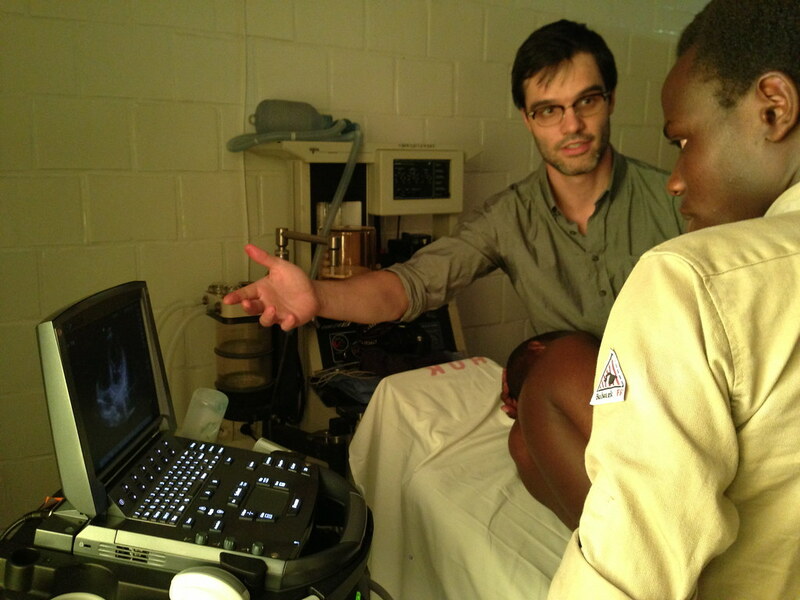 Ultrasound in developing world often plays a huge role in cinching a more timely and accurate diagnosis. 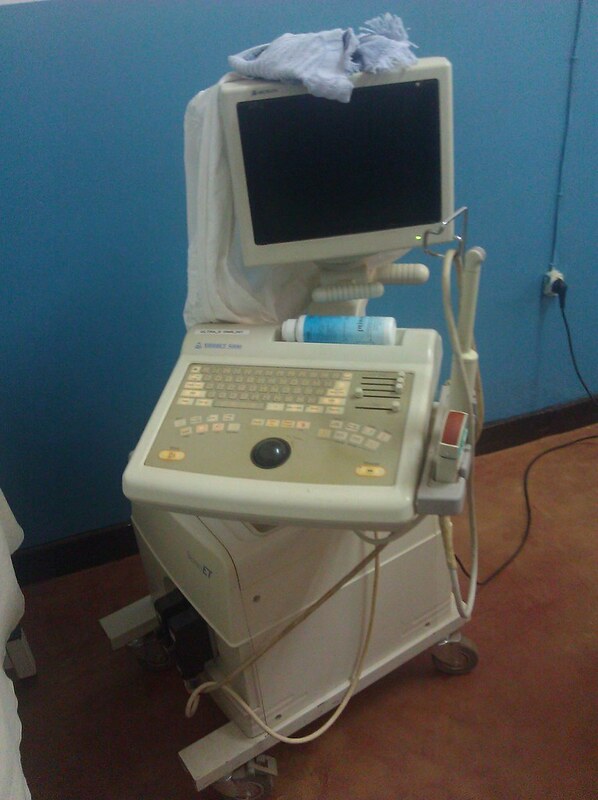 In addition to using ultrasound in a diagnostic capacity, we also used ultrasound to guide procedures. 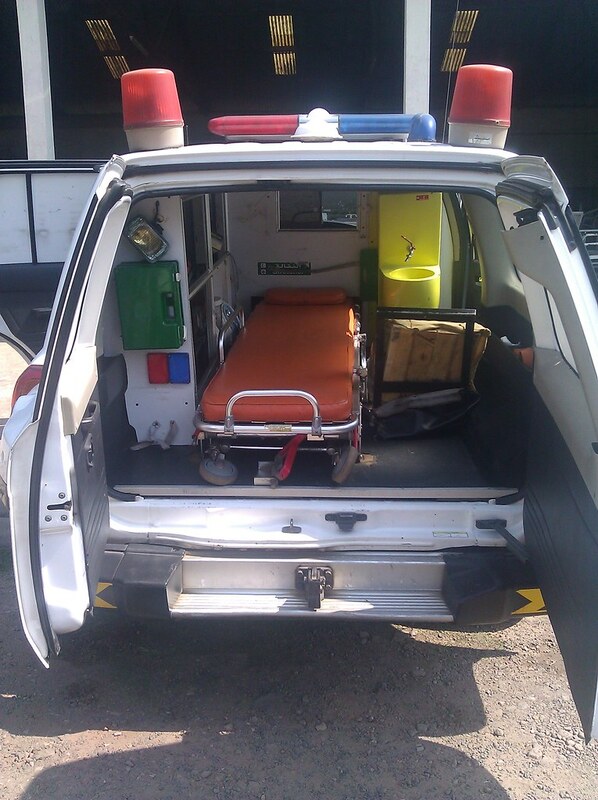 We had one patient who came in with DKA, who was acidemic, hypokalemic and very ill appearing. 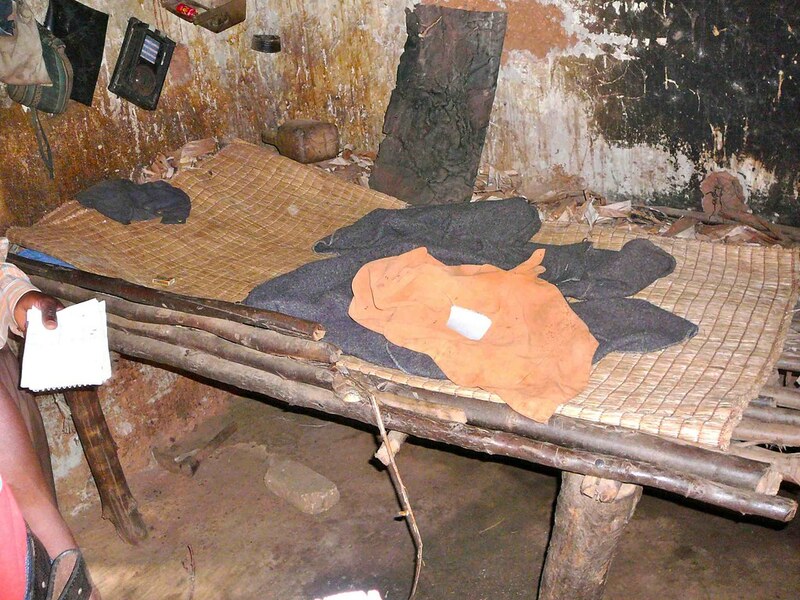 She had waited overnight all night with no interventions, treatments or medication because the overnight team had been unable to gain peripheral access. In the morning, the residents were able to use bedside ultrasound to obtain a peripheral IV line and the patient ended up doing very well, and was discharged home 2 days later. 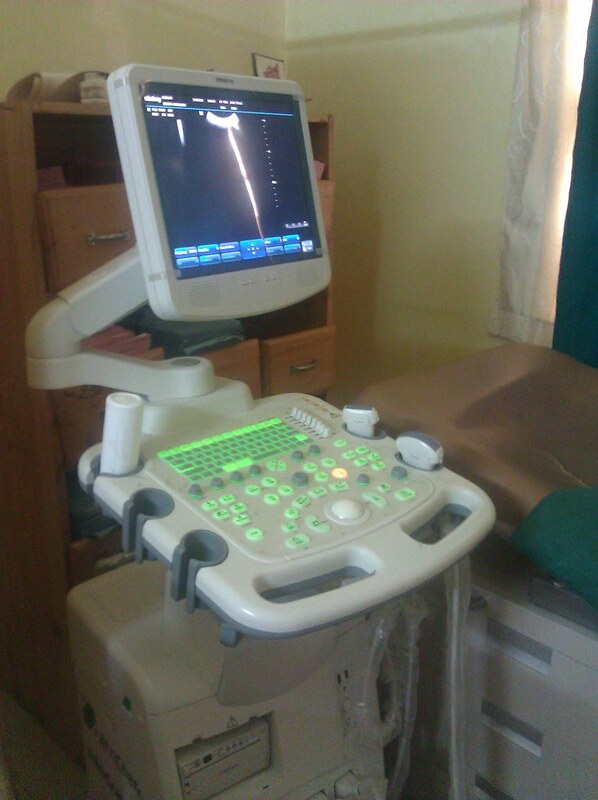 We have also used the ultrasound to guide thoracentesis and pericardiocentesis procedures- primarily for patients with TB. 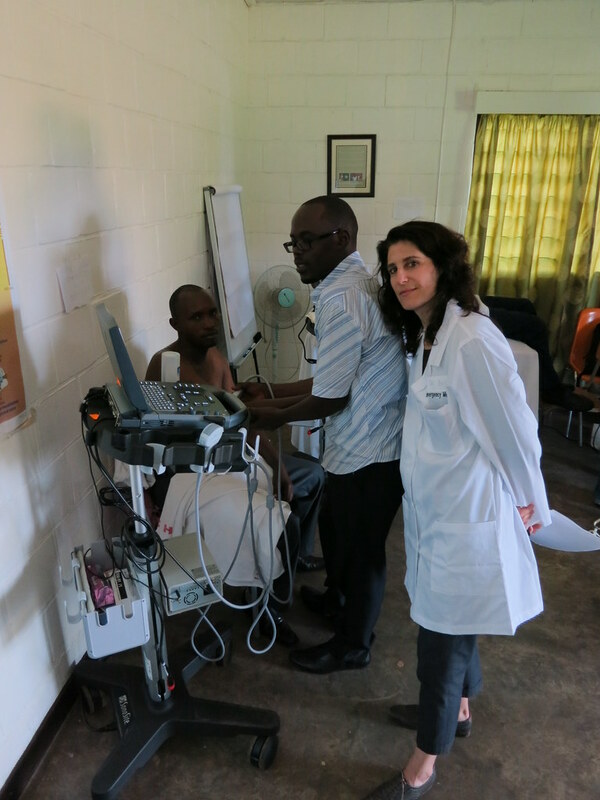 I found the use of ultrasound in Rwanda to be extremely rewarding, as we were able to change the course of treatment for multiple patients each day based on our ultrasound findings. 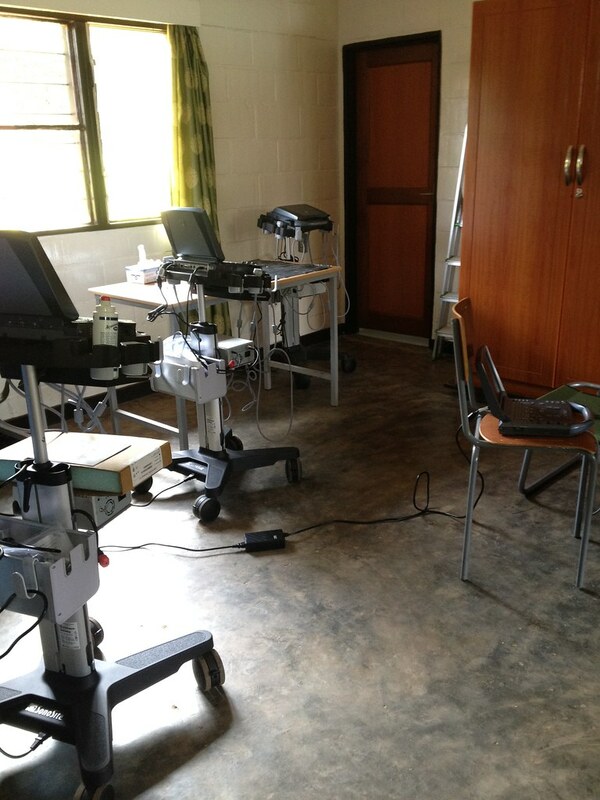 In addition, the residents are eager to acquire the skill set, and are quick to learn ultrasound. While we are not necessarily going to get patients to come to the hospital earlier in their disease course, we can arm physicians with the ultrasound skills to more accurately diagnosis them when they arrive looking for help. 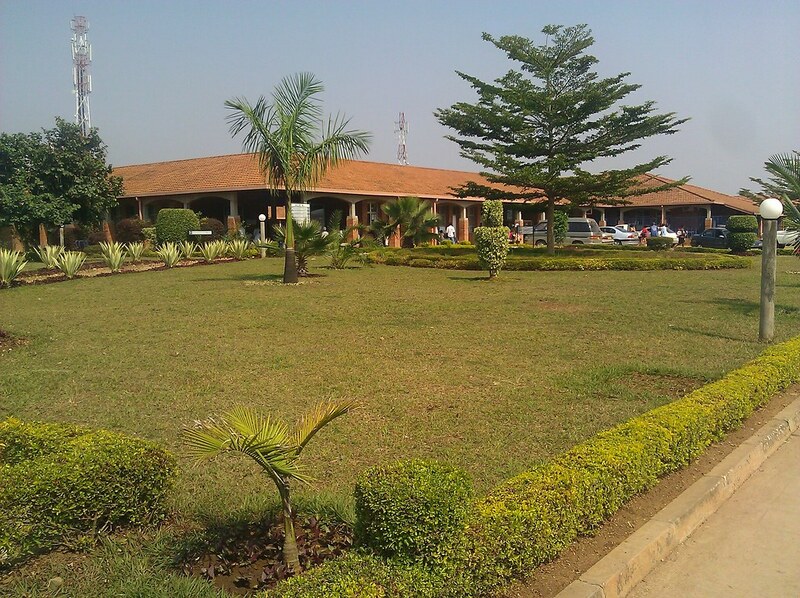 The PURE team has made its return to Mbarara Regional Referral Hospital (MRRH) in Southwestern Uganda! Led by PURE co-founder, Dr. Trish Henwood, this team welcomes back Drs. Katie O’Brien (Kaiser Sacramento), Daves Mackenzie (Maine Med) & Newman (Penn) and brought in some new crew members: Dr. Elizabeth Hall (Penn), Simone Schriger, and me – Tony Joseph from Brigham/Mass General. 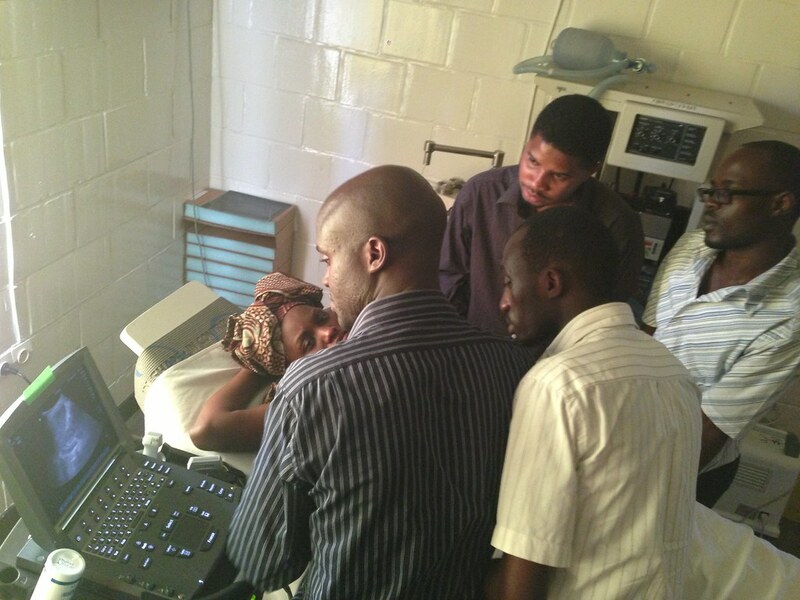 We hit the ground running with a full week of ultrasound training sessions for the OB midwives, house staff interns/residents, and surgical staff. Within a single day, physician trainees went from not knowing where the power button on the machine was to identifying subtle fluid stripes in Morison’s pouch and distinguishing free fluid fake outs in the pelvis from real pathology. Seminal vesicles will fool them no more! 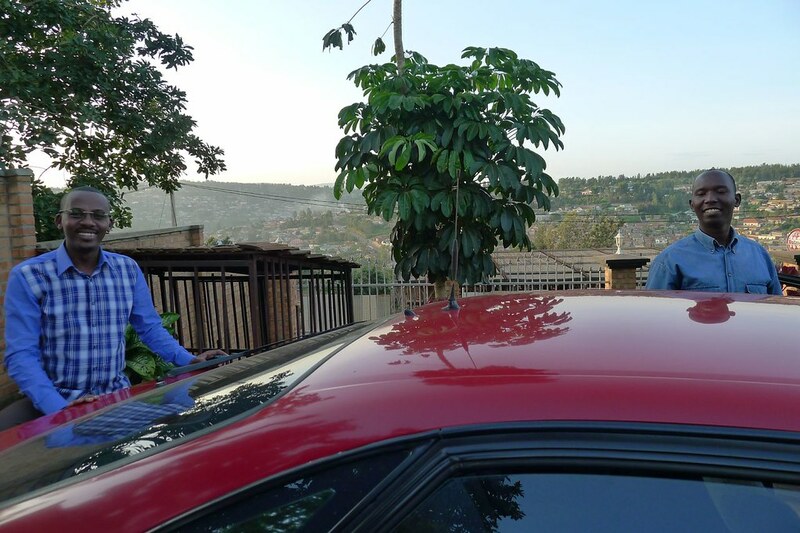 Dr. Peter (surgical resident) was able to quickly utilize the knowledge and skills he gained on a Friday after he found himself on call in Accidents & Emergency on Sunday. A trauma patient presented with abdominal pain after a motorcycle crash, the FAST was positive for free fluid in the abdomen concerning for hemorrhage. 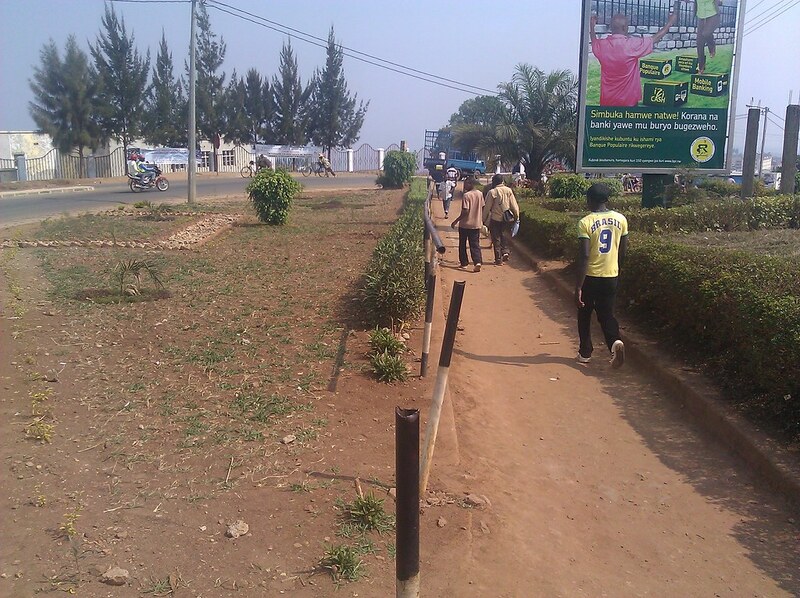 The patient was taking to the operation theatre immediately and found to have a grade IV splenic laceration. 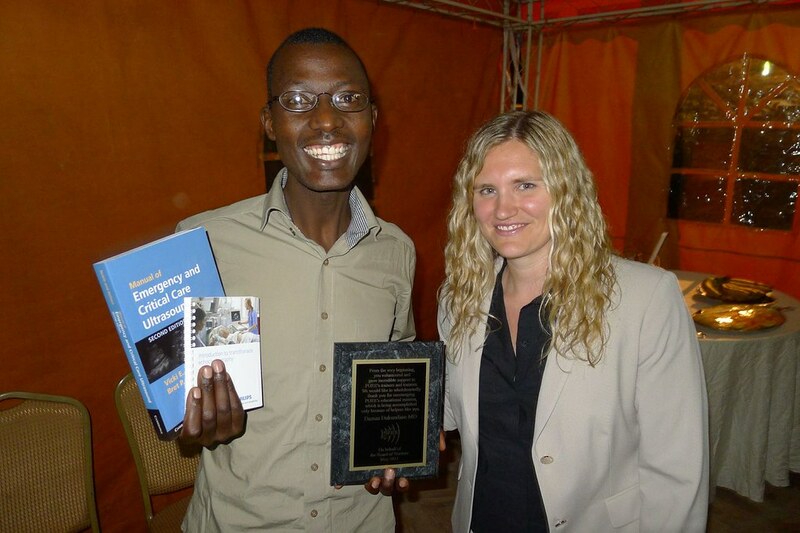 Point-of-care ultrasound making a difference off the bat! Many of the intern trainees quickly realized the power of ultrasound and started asking about other applications such as vascular access and hydronephrosis. 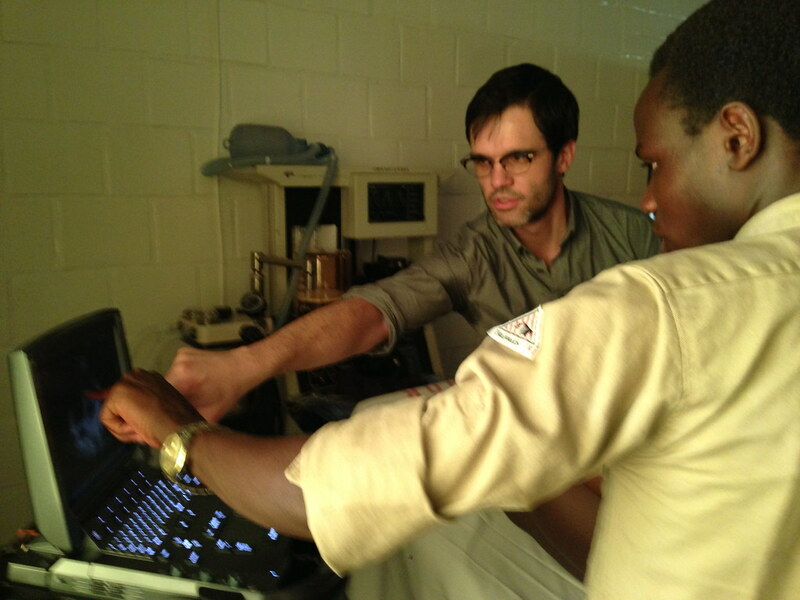 With this level of interest, we expect their bedside scanning skills to take off quickly. 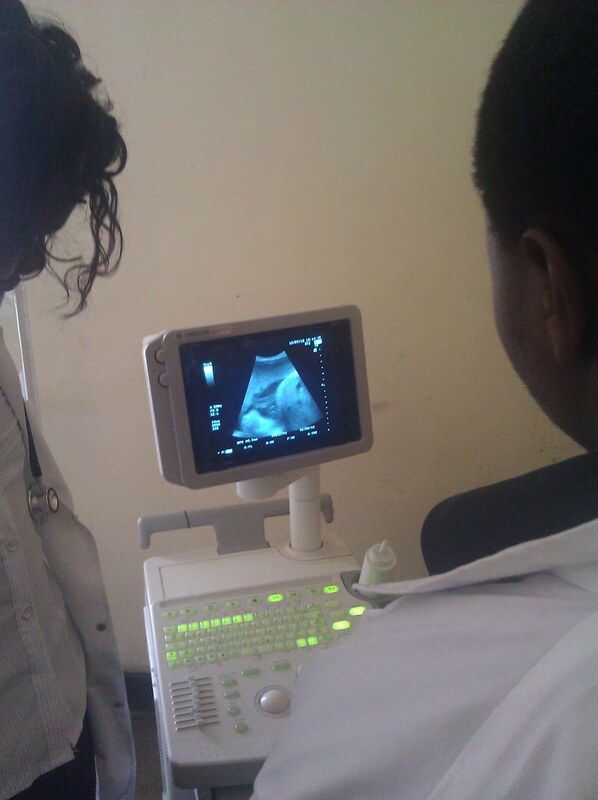 Meanwhile, the OB midwives and attendings who had received training on our last visit, showcased their wonderful OB ultrasound skills that they have been using all year long! 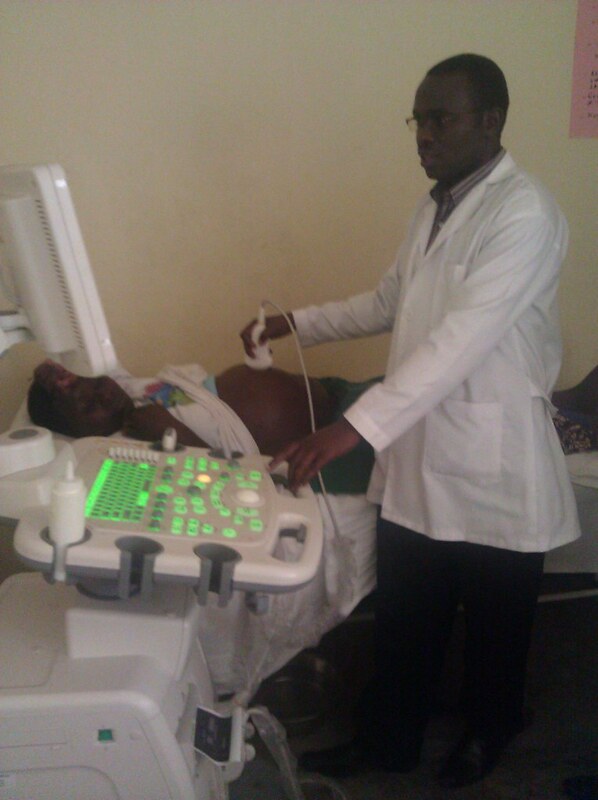 Several 2nd & 3rd trimester pregnant patients from clinic volunteered to be scanned and the local staff correctly made biometry measurements to date the pregnancies.